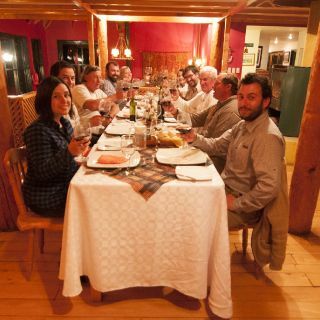 The lodge's 600 sqm construction was built especially for fly fishing anglers, featuring 6 double in suite heated rooms and bathrooms each with stunning views of the Baker banks and waters as well as the imposing snow capped mountain range. 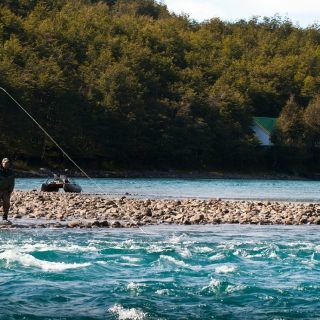 For anglers comfort, each bedroom is steps away from the river banks and with an amazing most productive eddy with a jetty from where to embark on floating or wading excursions both up and down river, and a long pebble beach bank for wading. 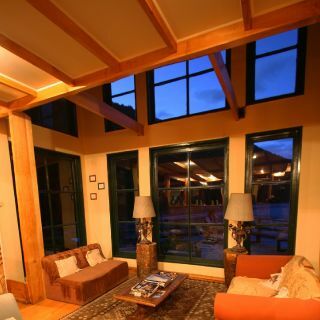 The Club house features a main salon with two separate sitting rooms with fire place rendering a most warm and friendly atmosphere. 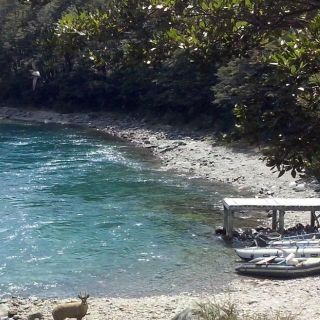 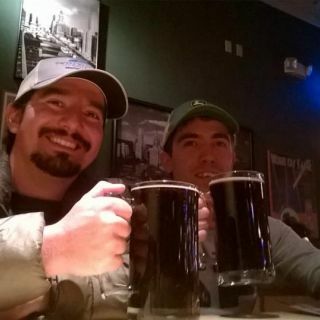 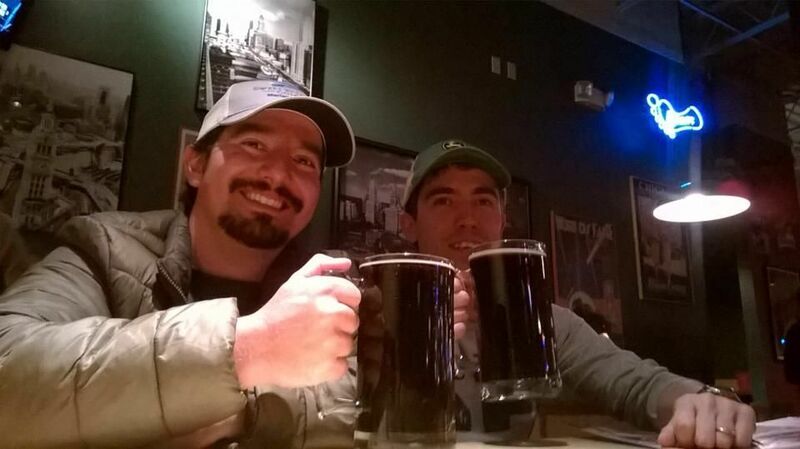 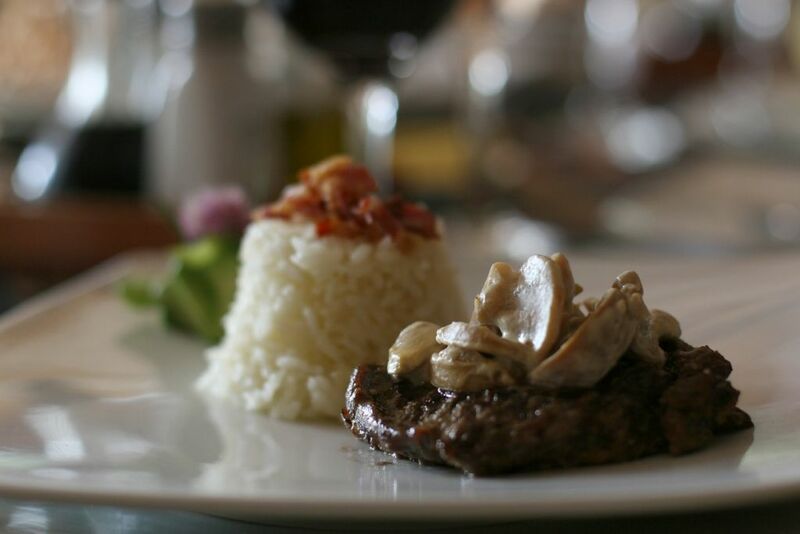 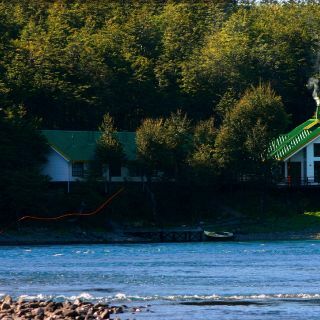 Additionally, a 6 table restaurant with capacity for 24 and a bar all facing the remarkable views of the river and mountains where anglers and guest can enjoy our gourmet kitchen with View more...a wide drink selection. 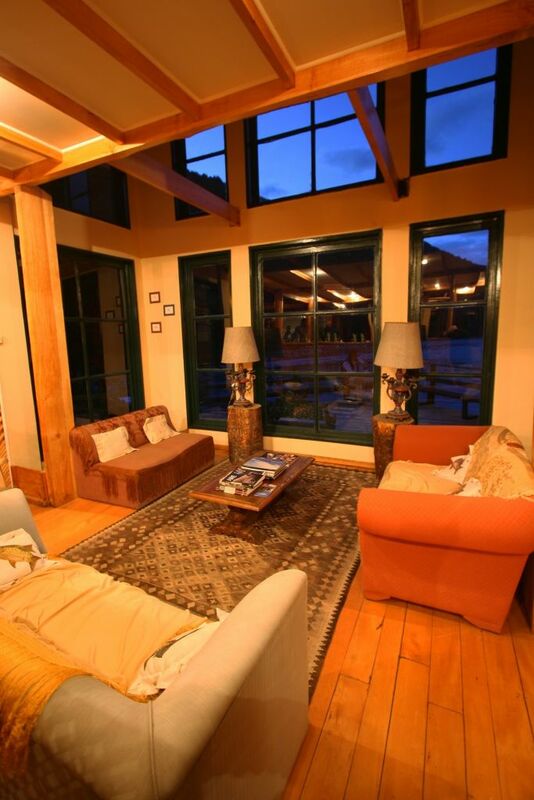 A Fly tying area and a leisure lounge complement the anglers areas for further enjoyment. 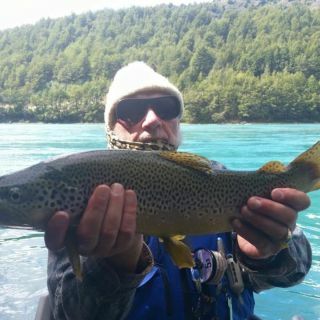 The lodge is equipped with all the necessary comfortable ground transportation and gear with crafts for the different fly fishing experiences both up and down the baker and in the Best kept fishing location secrets of our operation no further than an hour drive from the Baker. 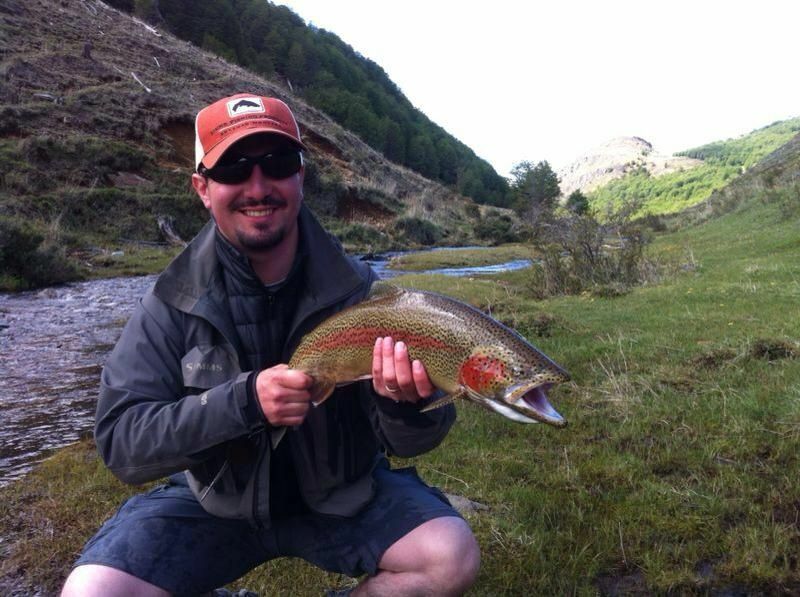 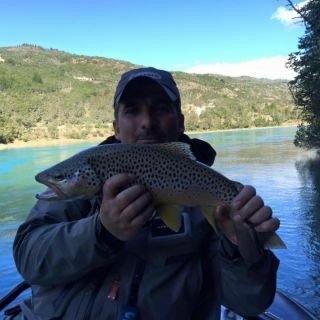 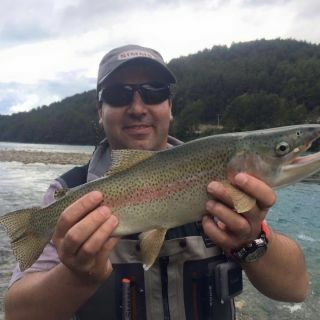 A Pool of highly qualified guides are ready to take anglers of all levels of fly fishing experiences including beginners, with either Spanish or english speaking guides. 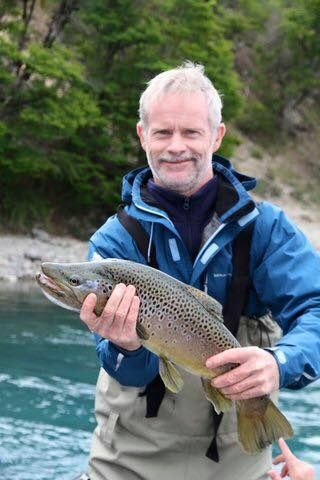 Now in it 15 year of operation the lodge , serviced by its owners insure a most remarkable trophy fly fishing experience for the serious experienced angler who cannot afford not to enjoy! 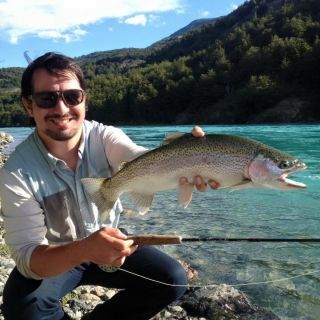 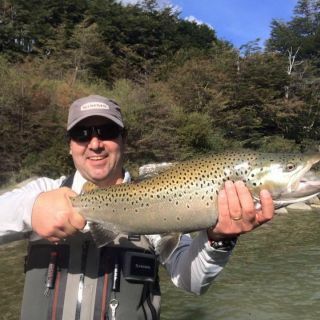 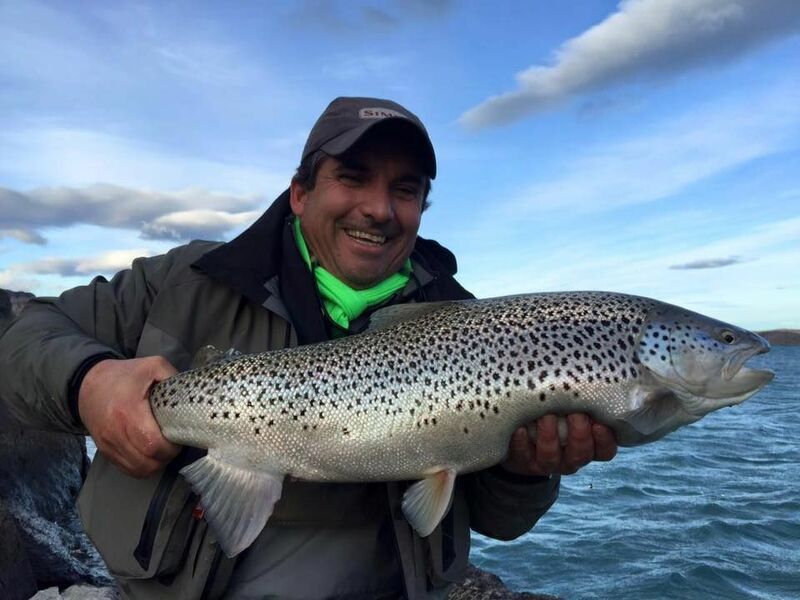 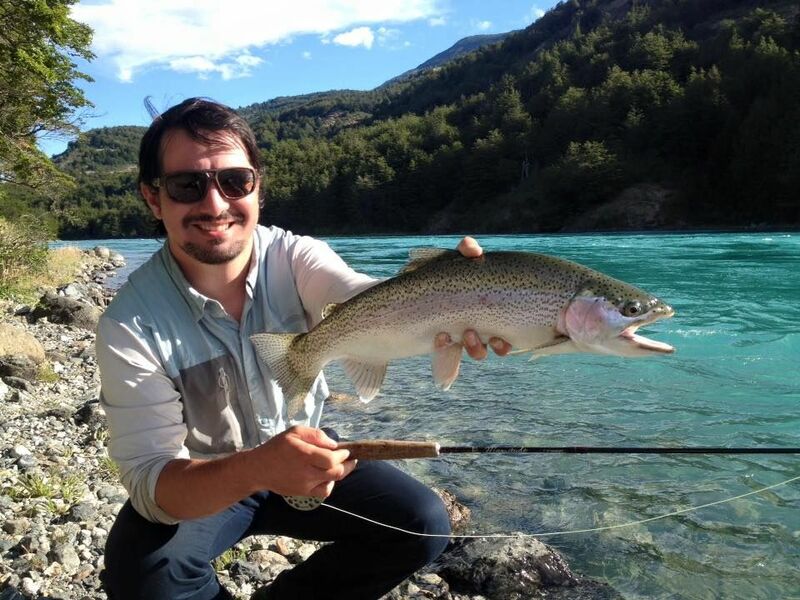 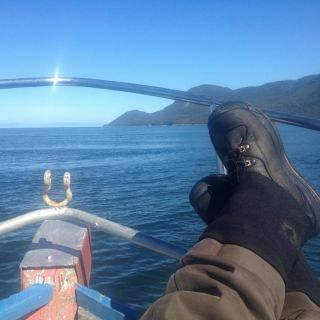 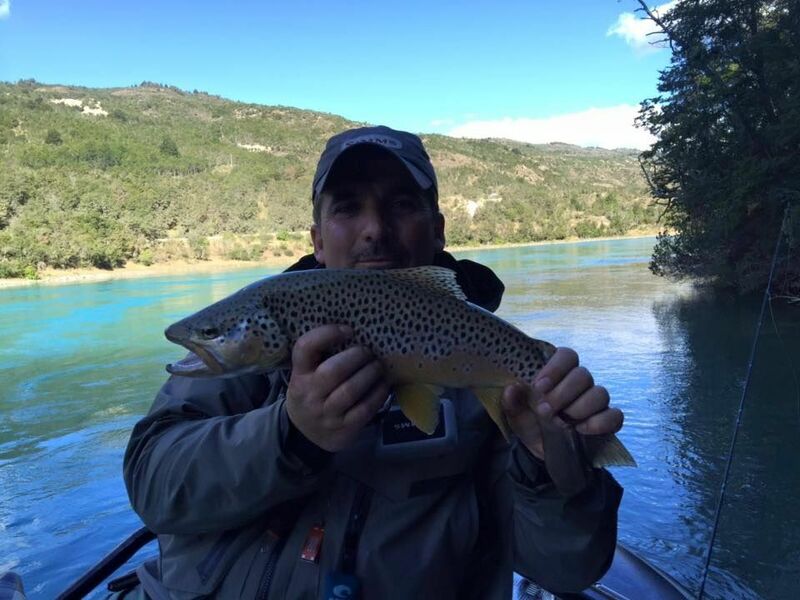 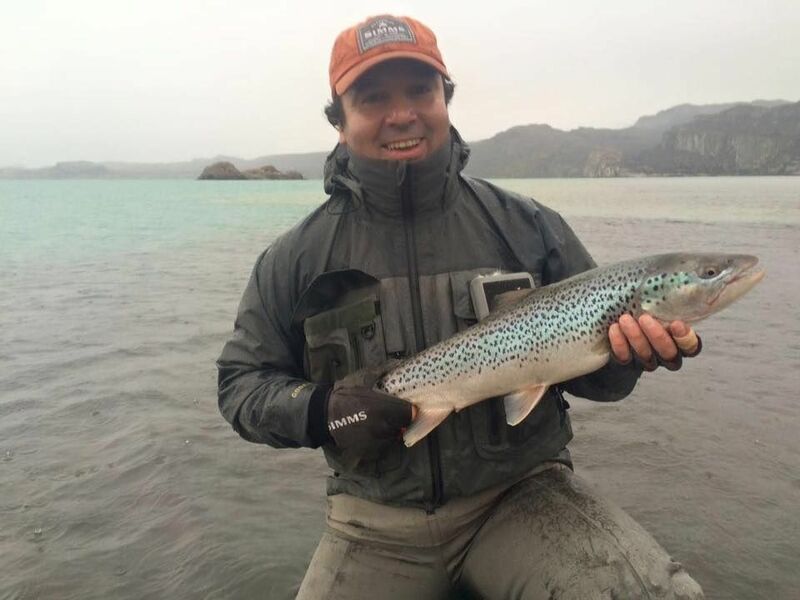 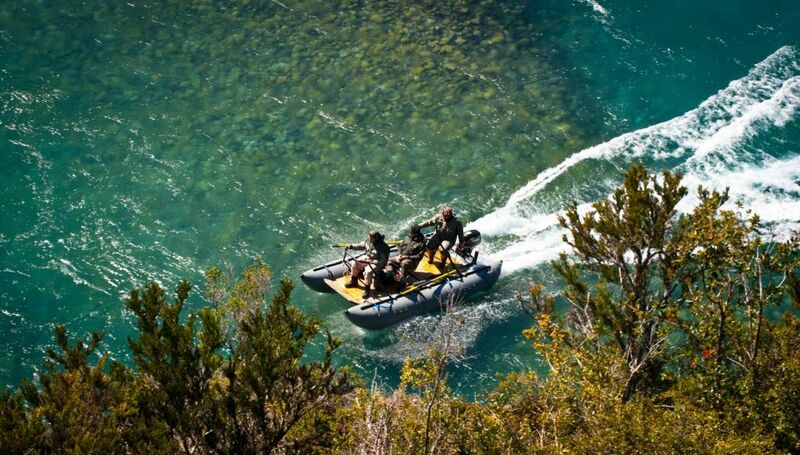 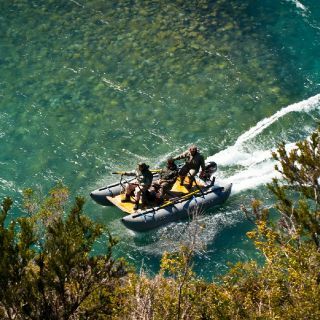 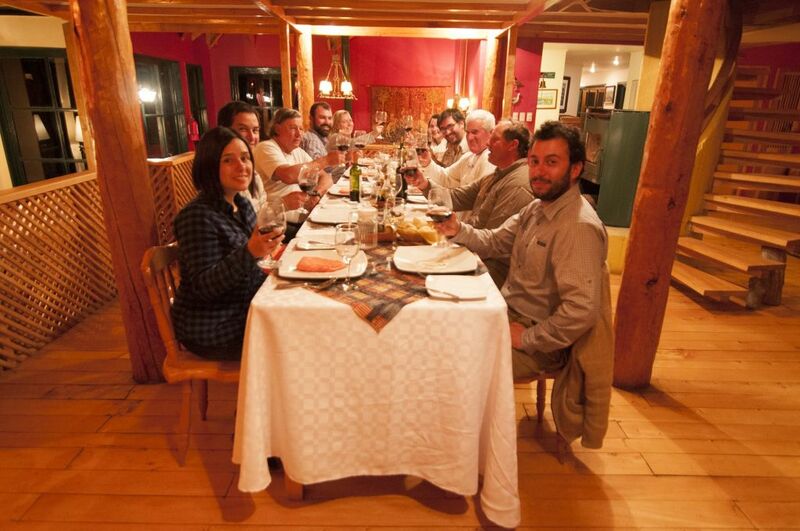 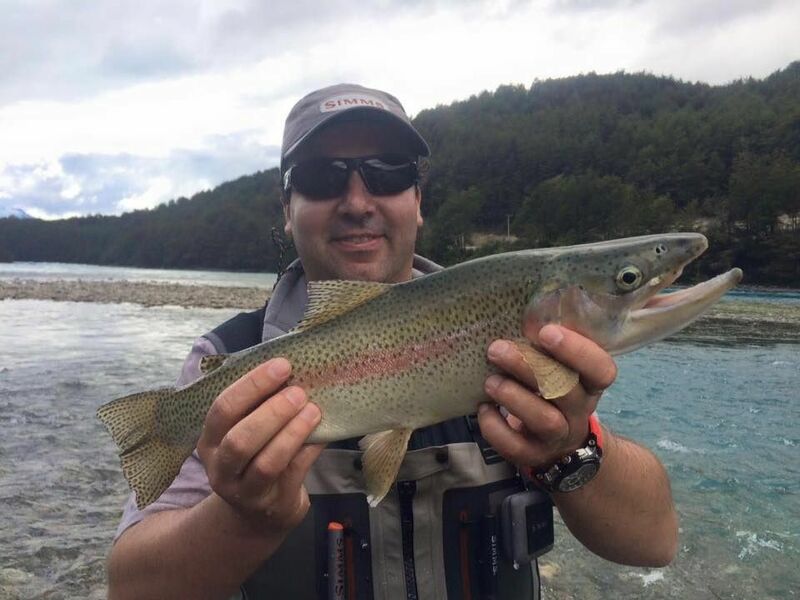 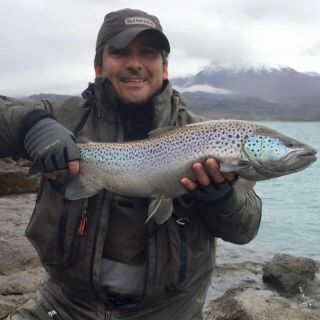 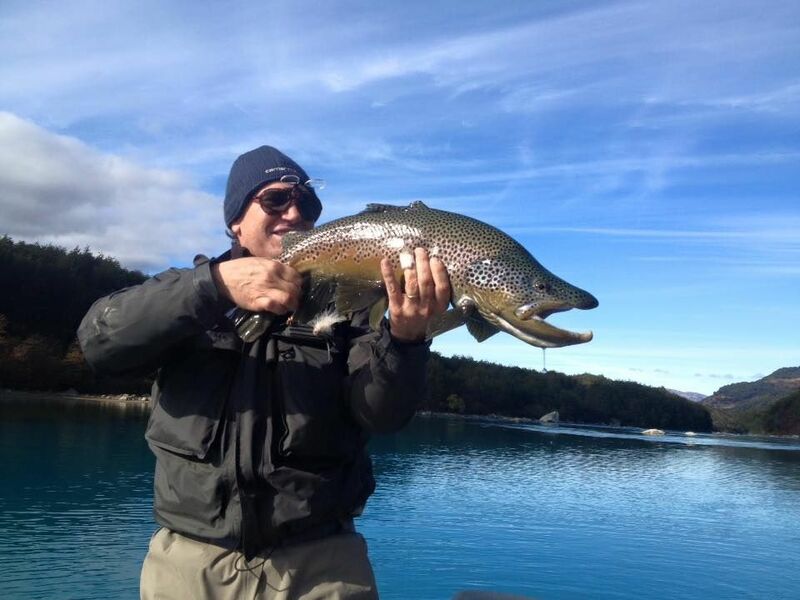 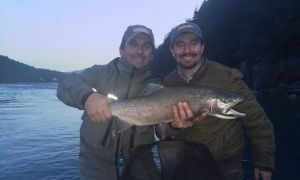 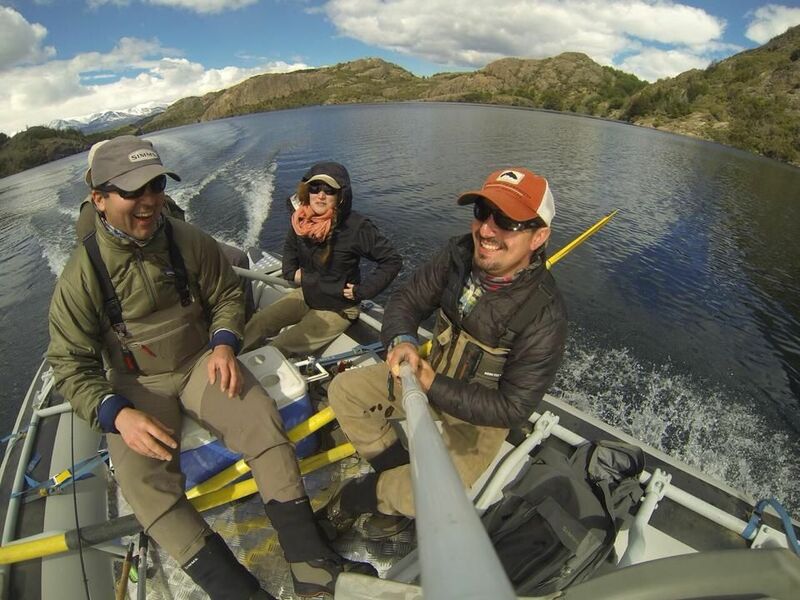 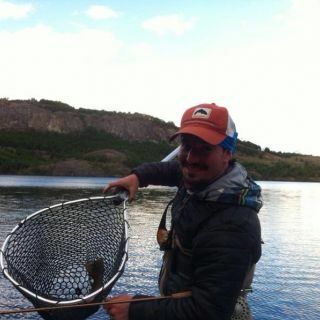 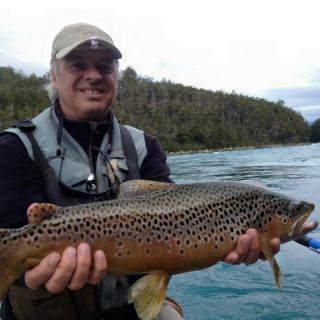 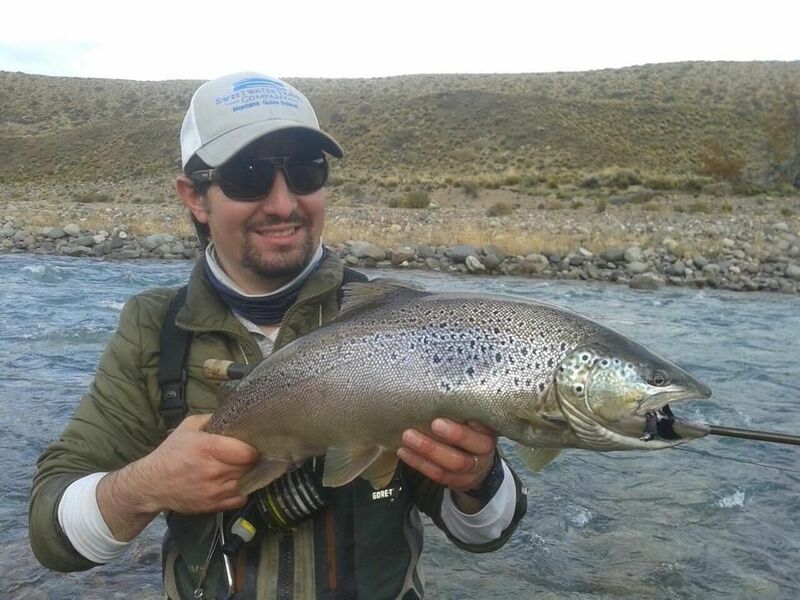 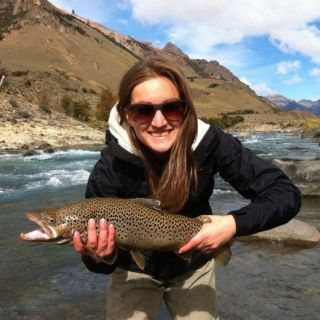 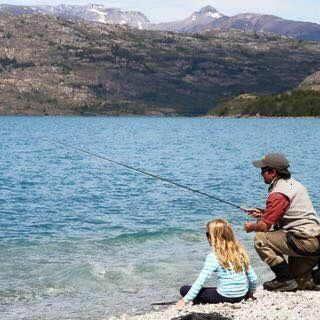 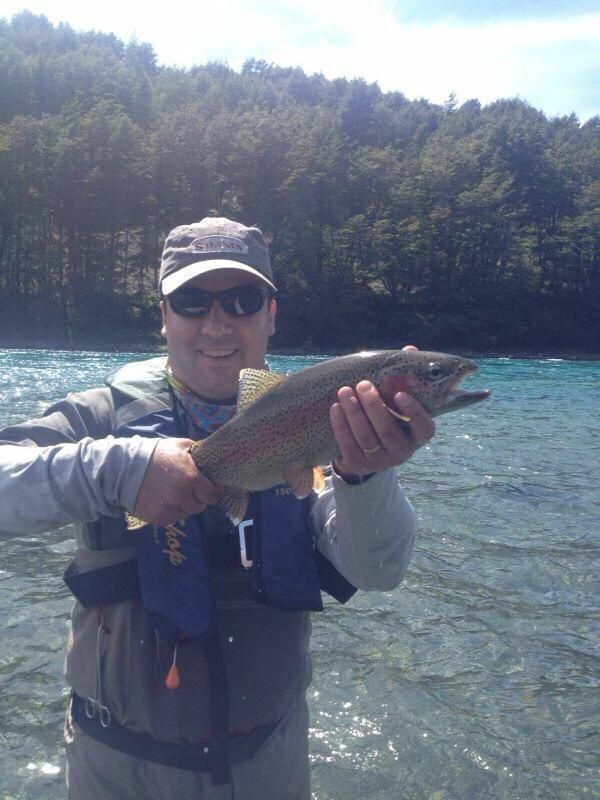 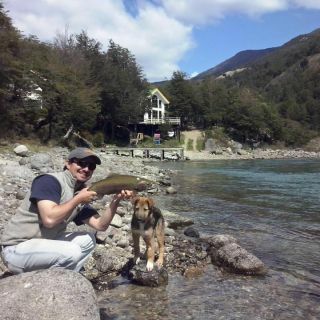 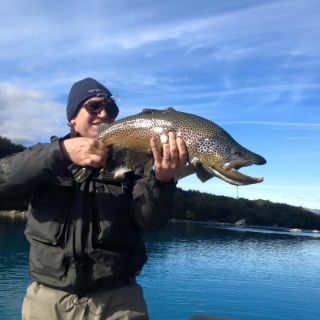 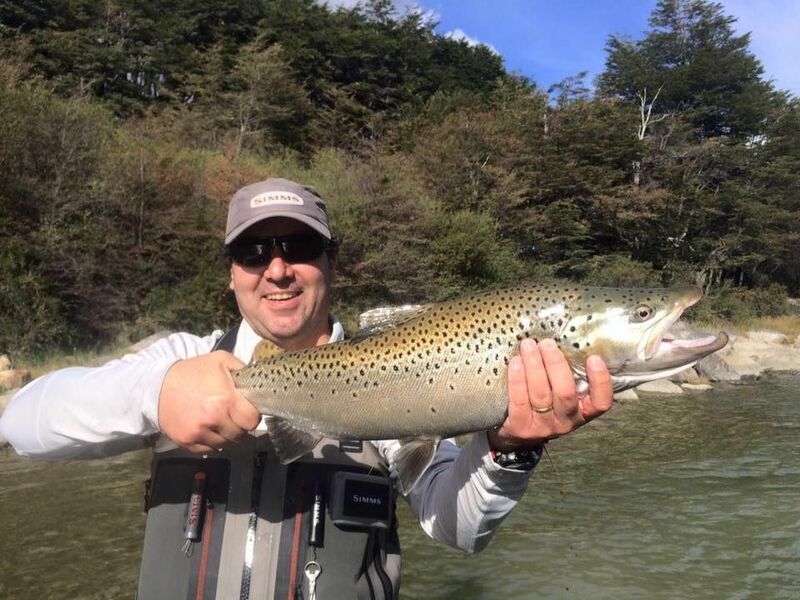 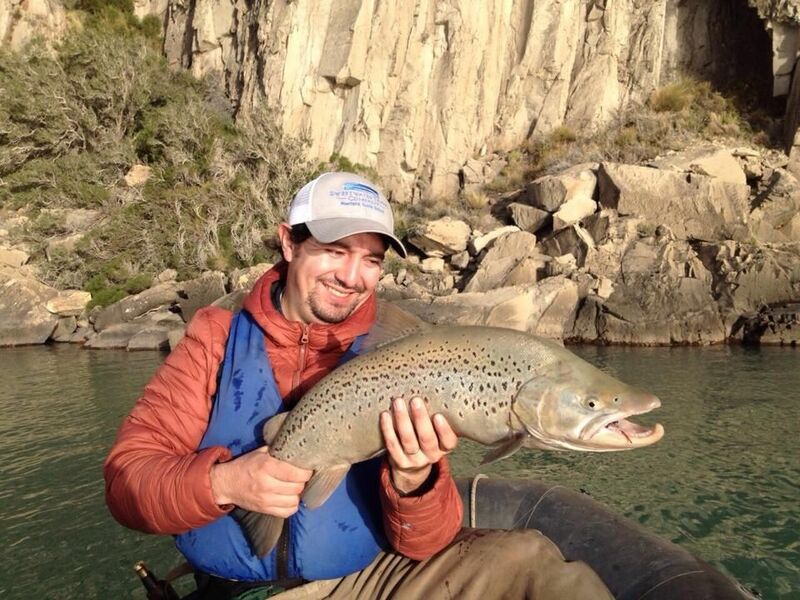 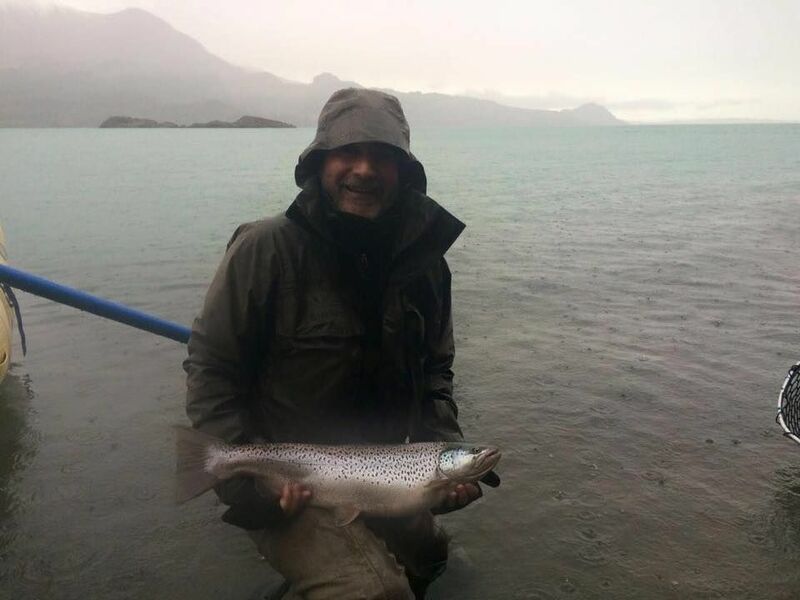 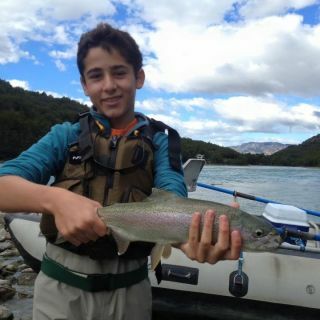 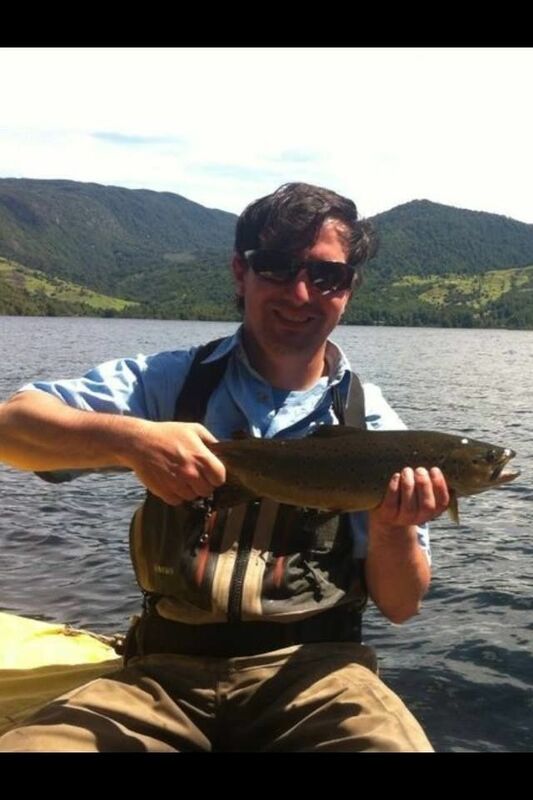 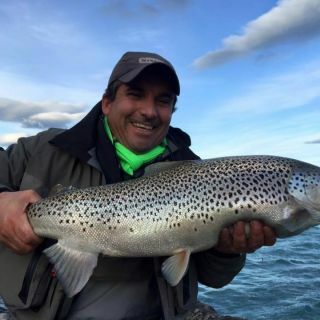 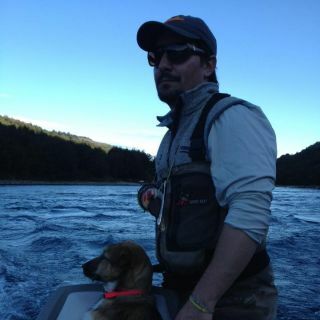 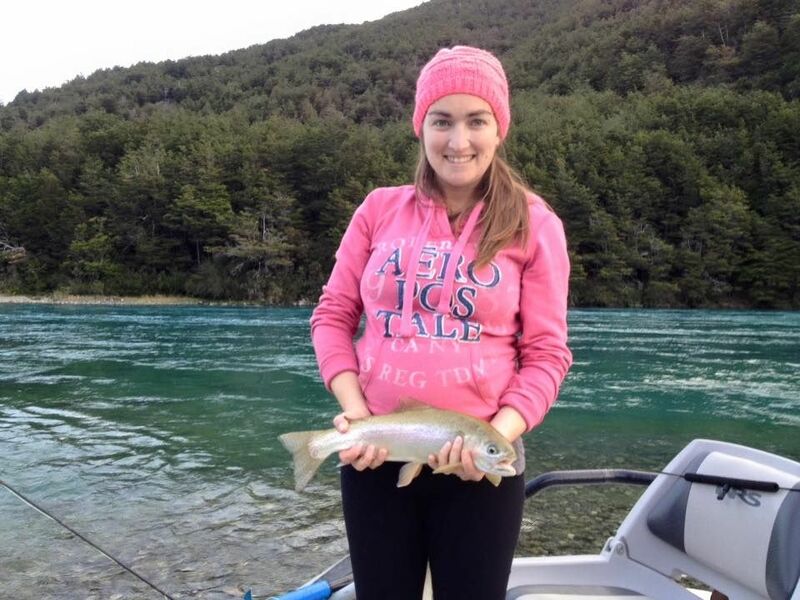 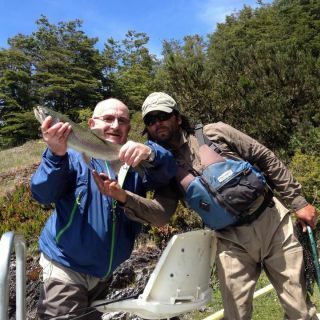 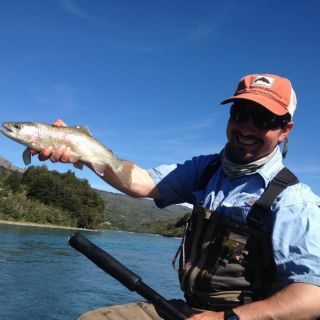 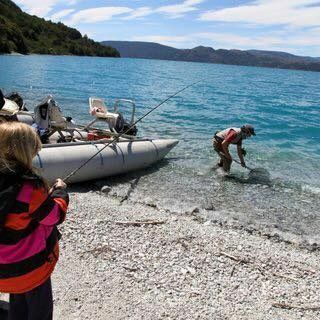 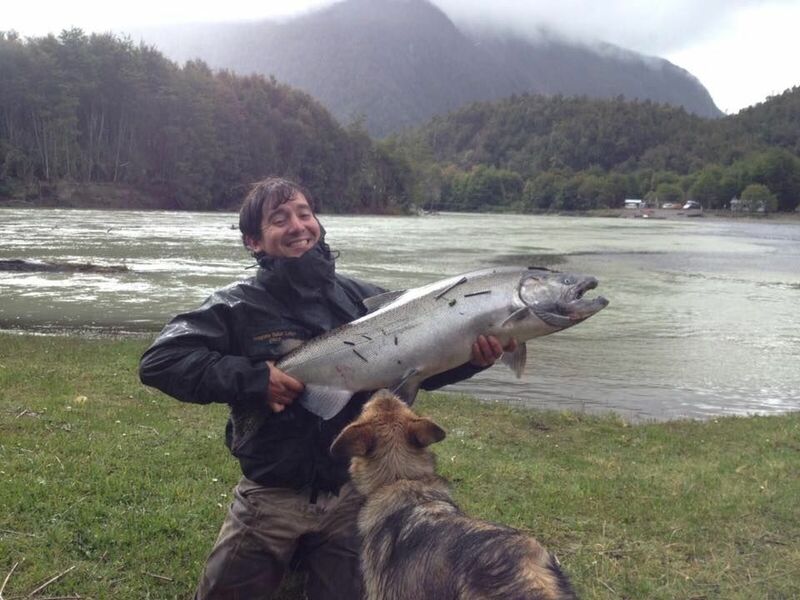 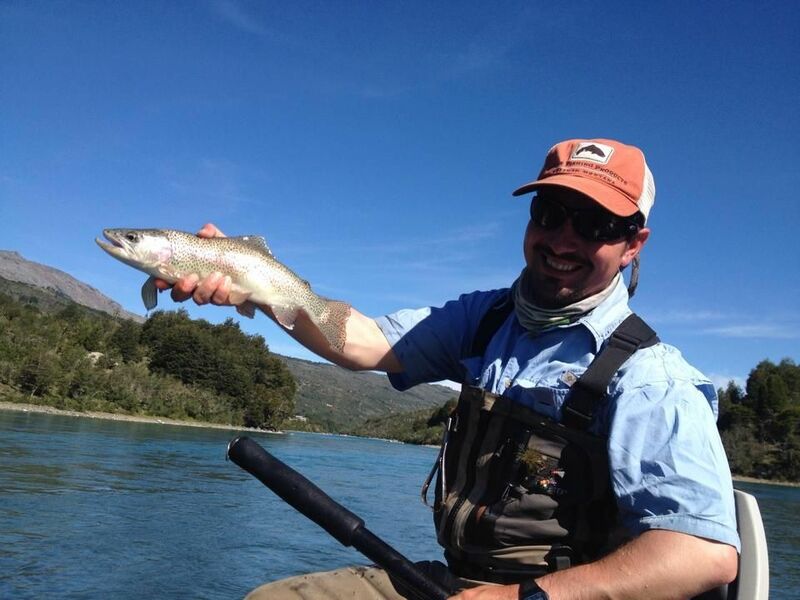 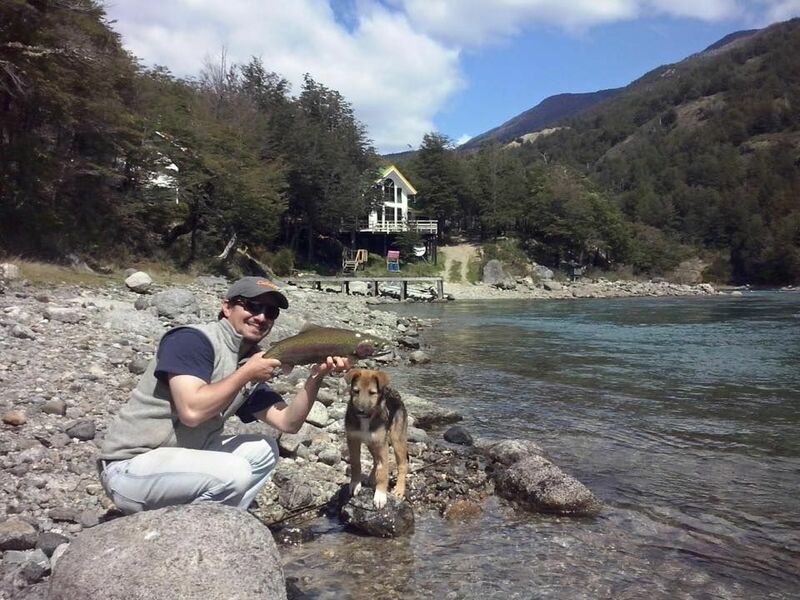 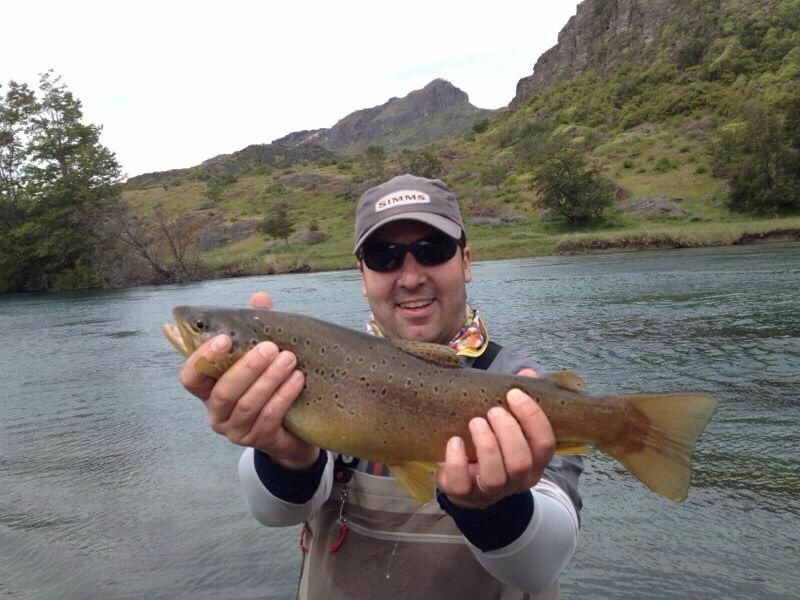 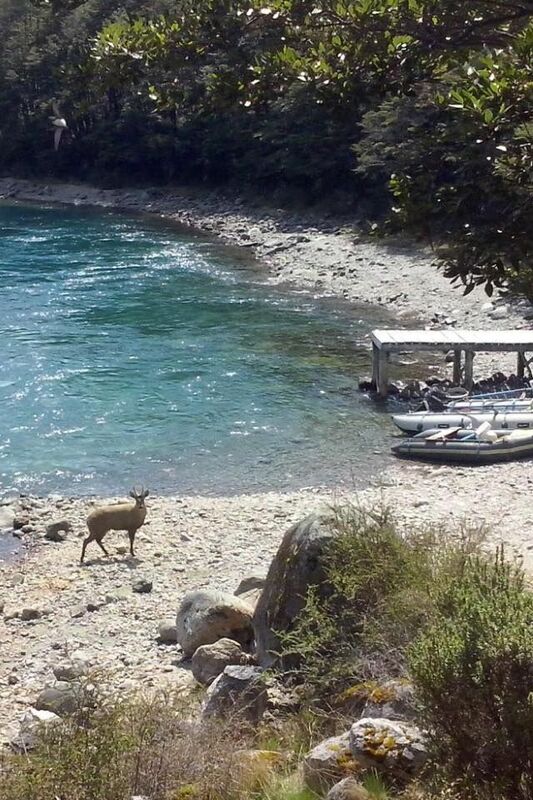 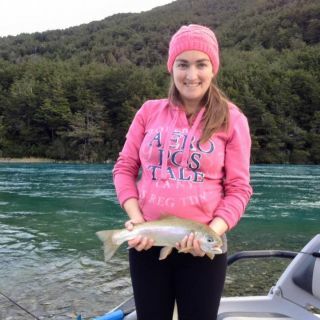 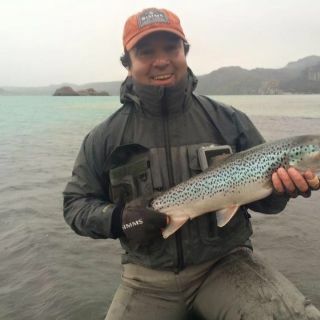 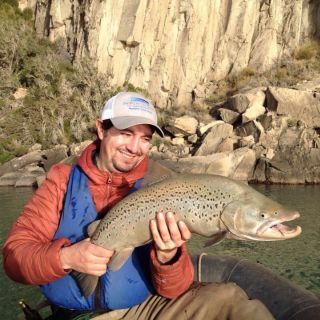 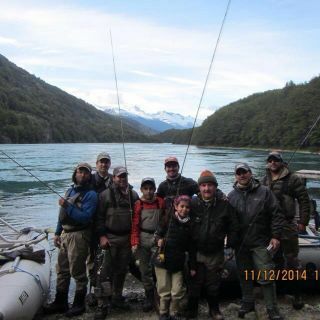 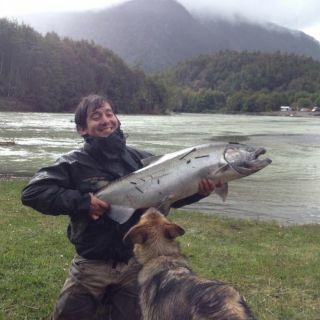 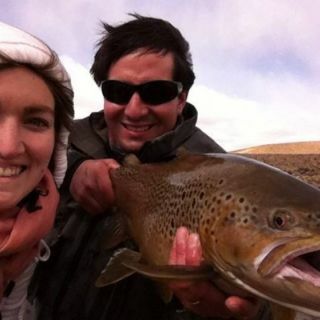 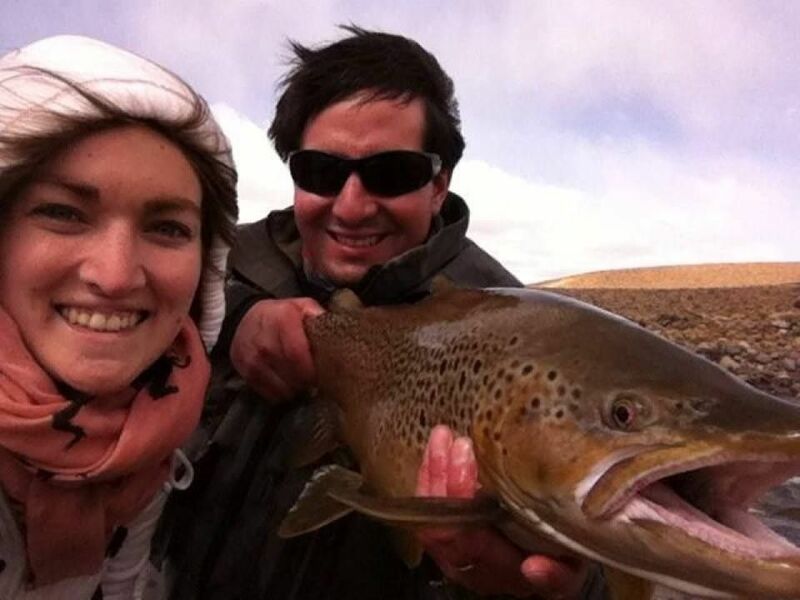 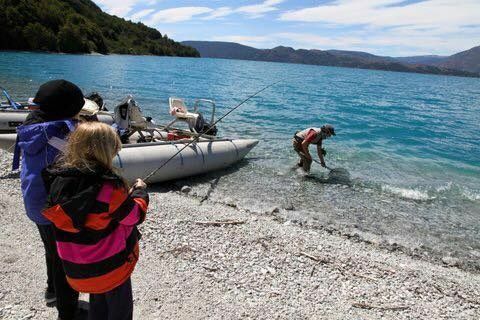 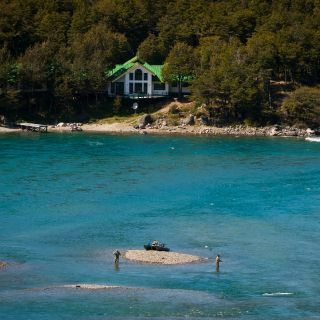 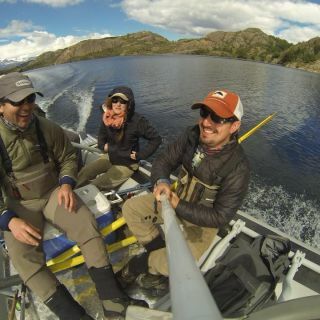 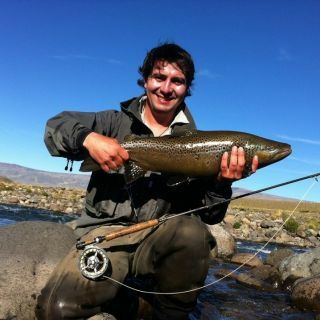 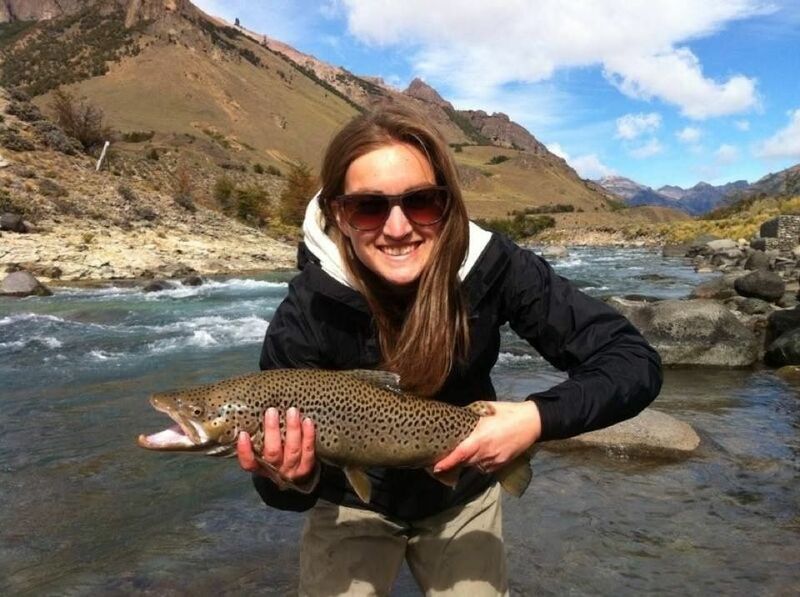 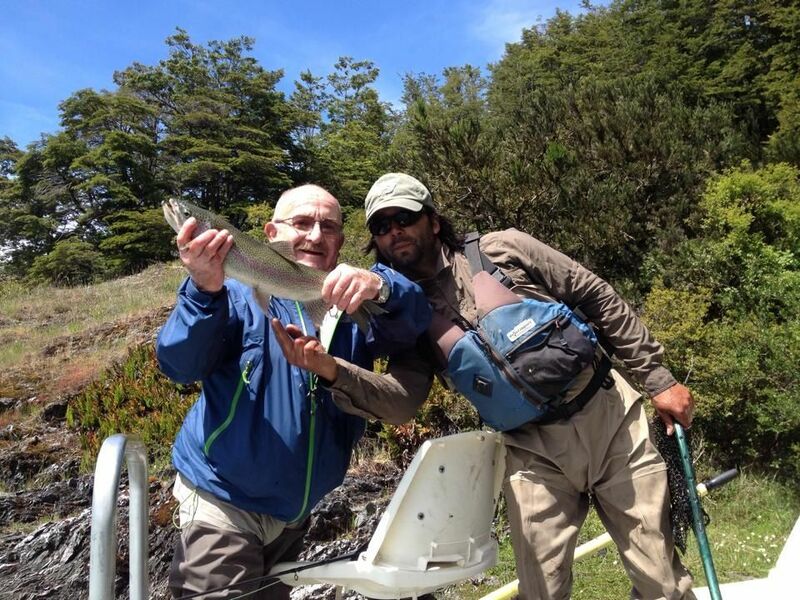 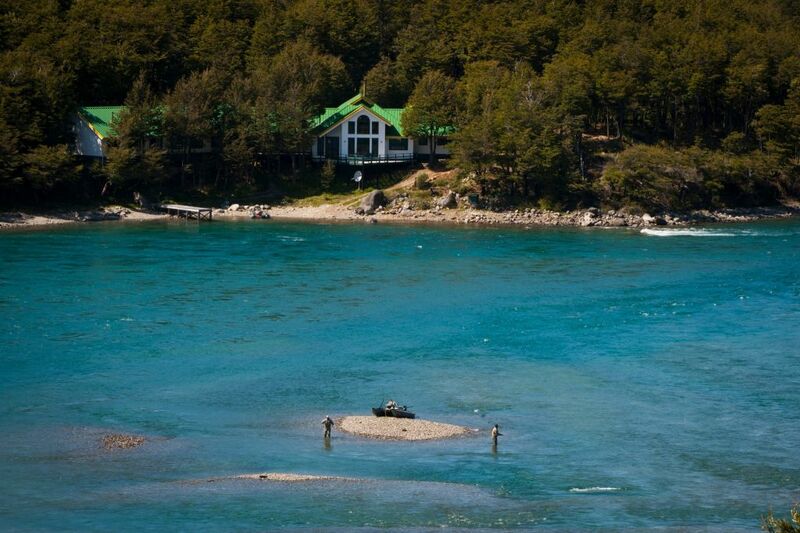 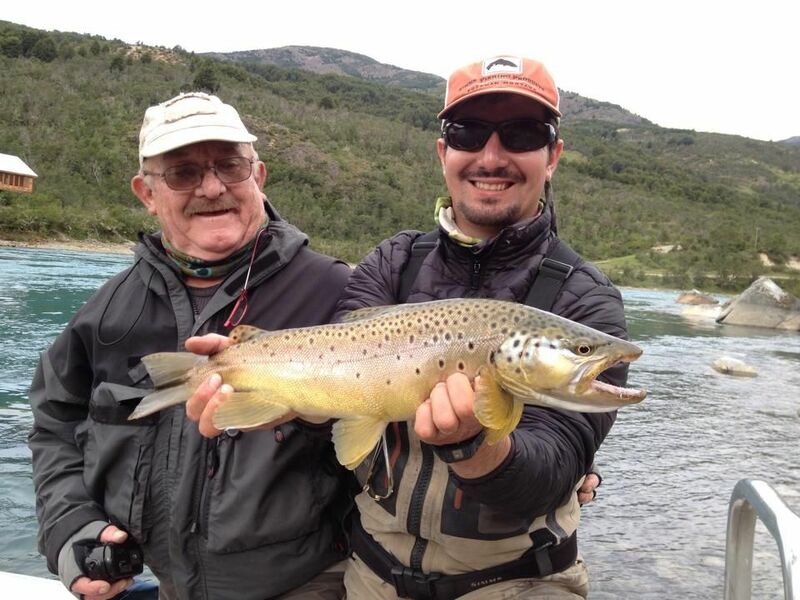 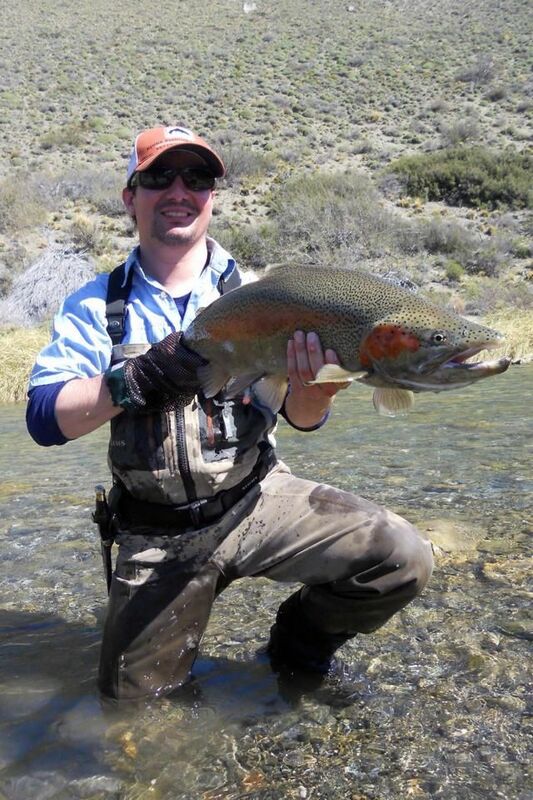 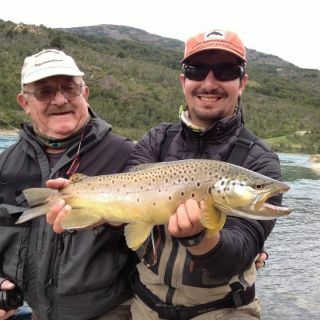 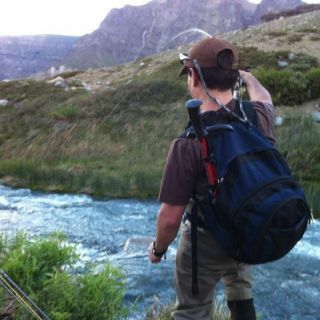 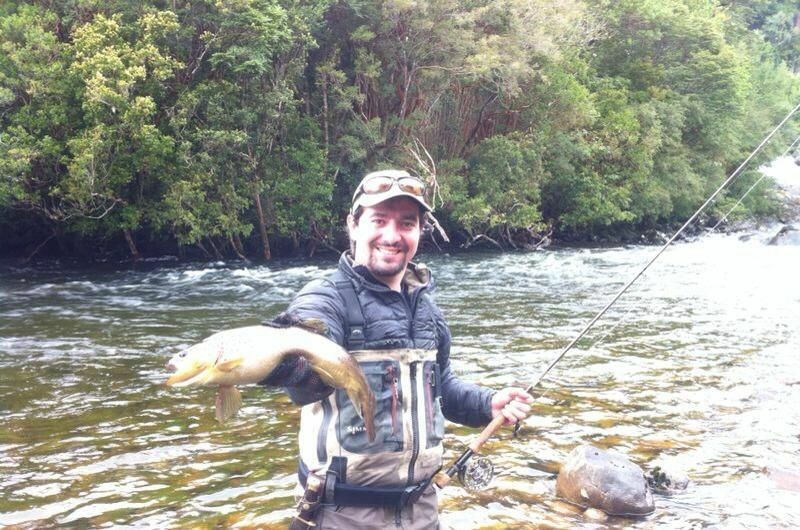 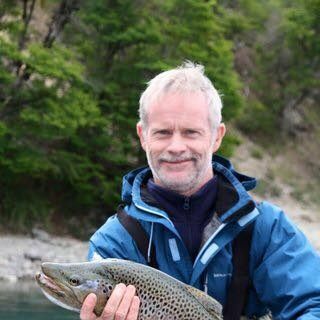 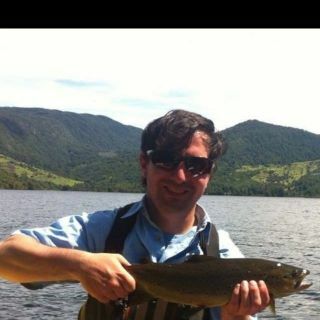 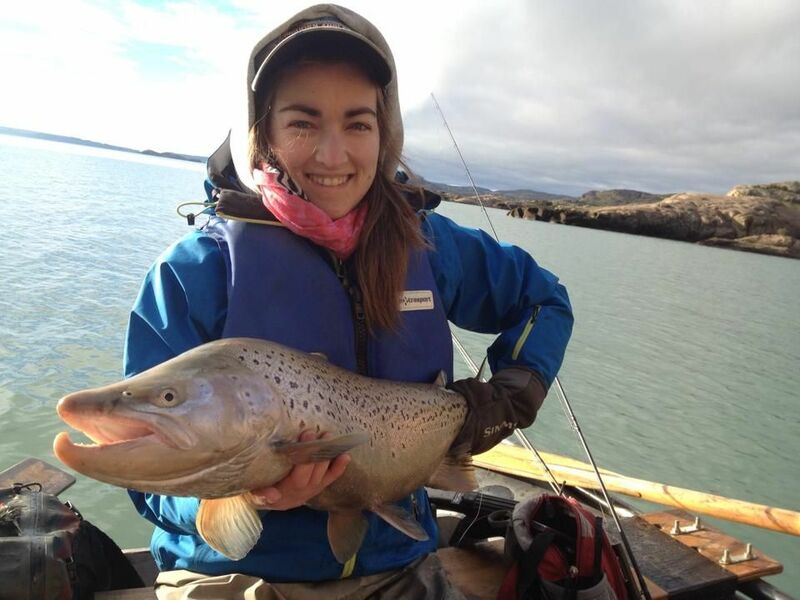 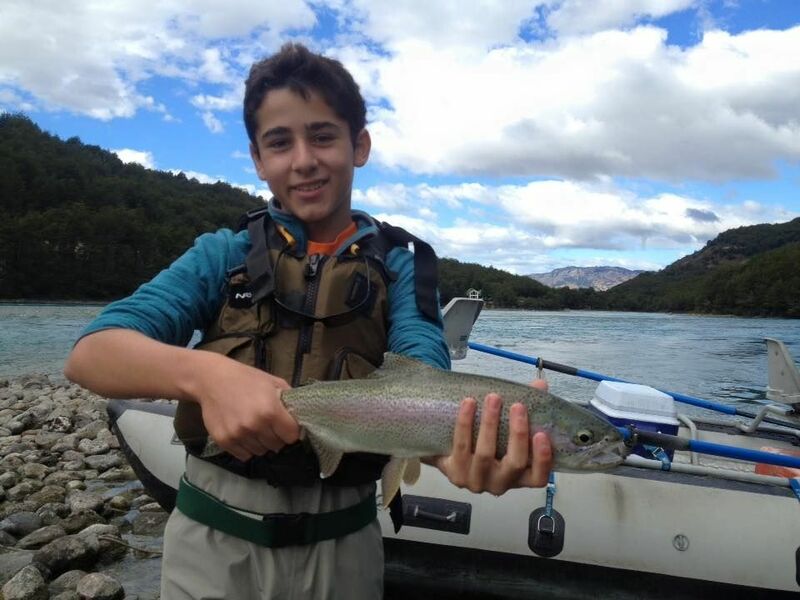 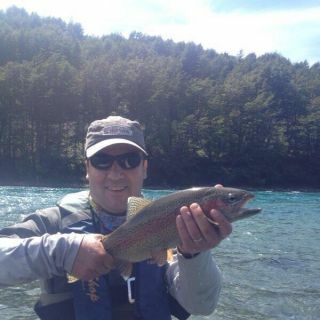 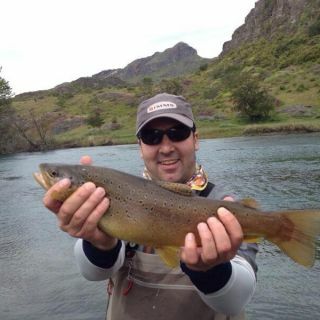 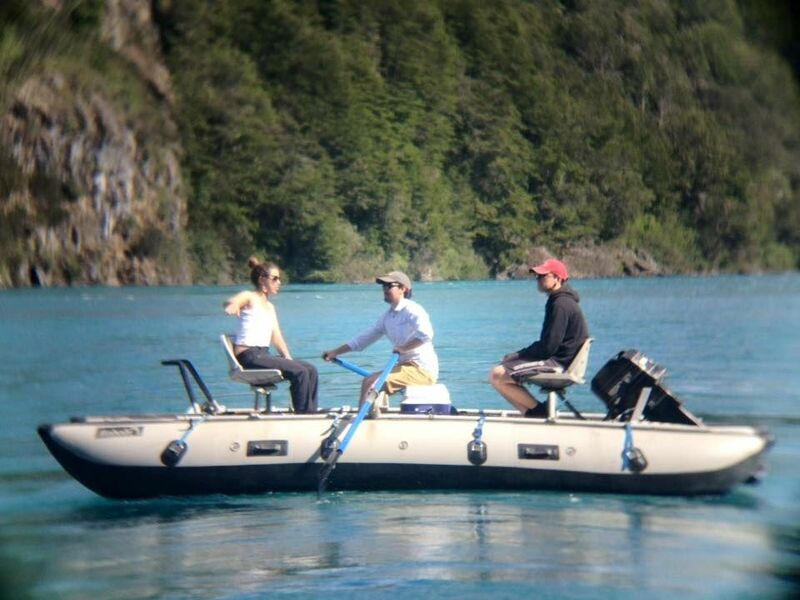 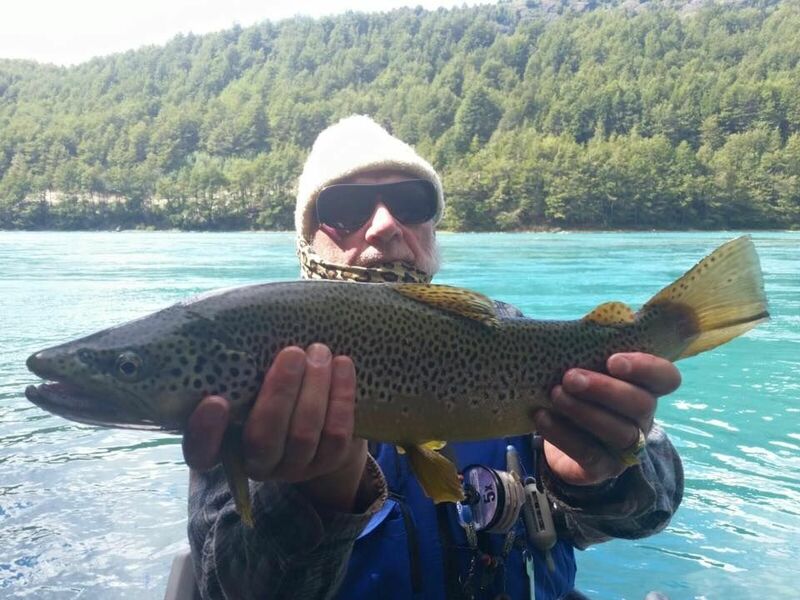 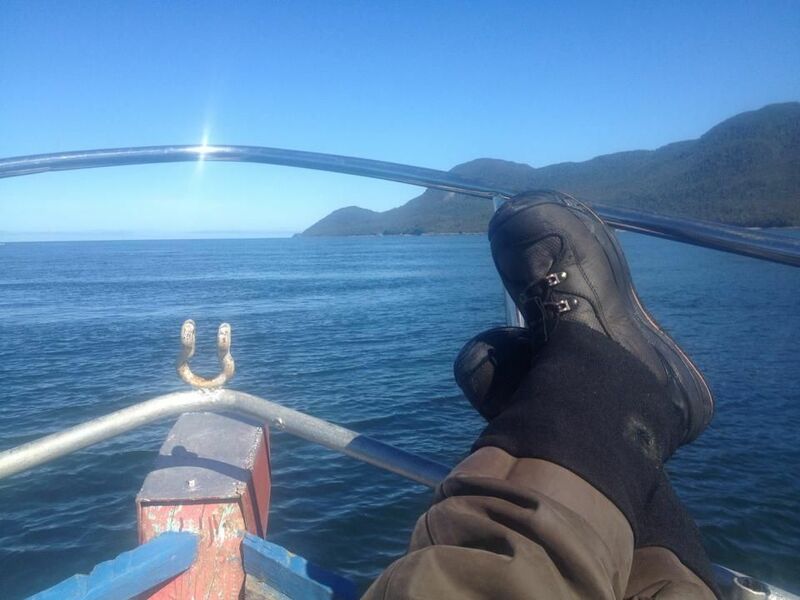 The lodge's prestige and quality angling together with a most friendly and warm atmosphere has being rated as one of the very best in Chile and as one trully unique most beautiful fisheries in the world. 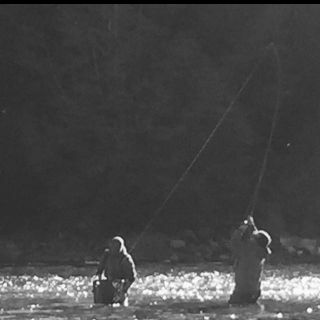 This season kick off month is very productive. 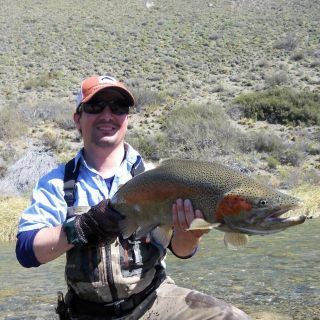 After a long spawning period, trout start to feed actively, and are massively concentrated in the upper sections of the rivers, where their spawning waters are located. 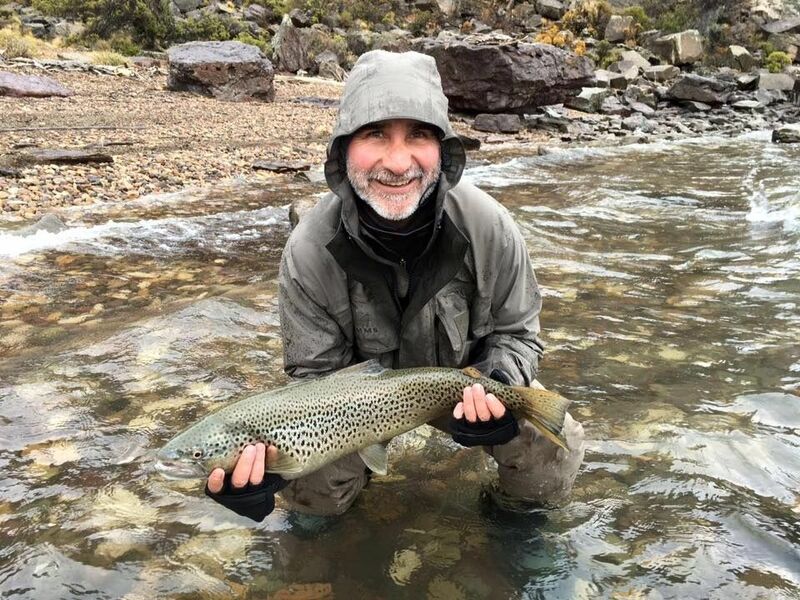 These rivers are at their lowest level, making it easier to visually identify the fish, making possible the enjoyable practice of stalking and sight casting. 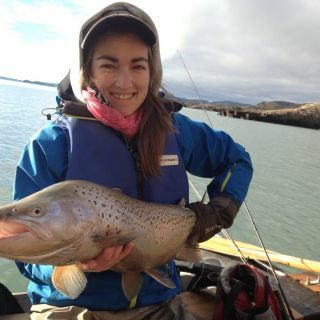 Water temperatures are still low, with hatches growing strongly into the warmer months of the season. 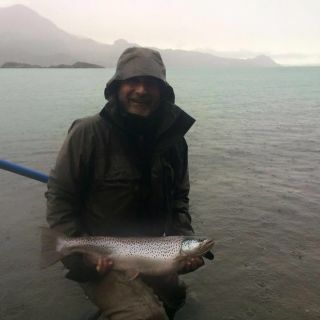 Weather is still cold, with sporadic rain and drizzle. 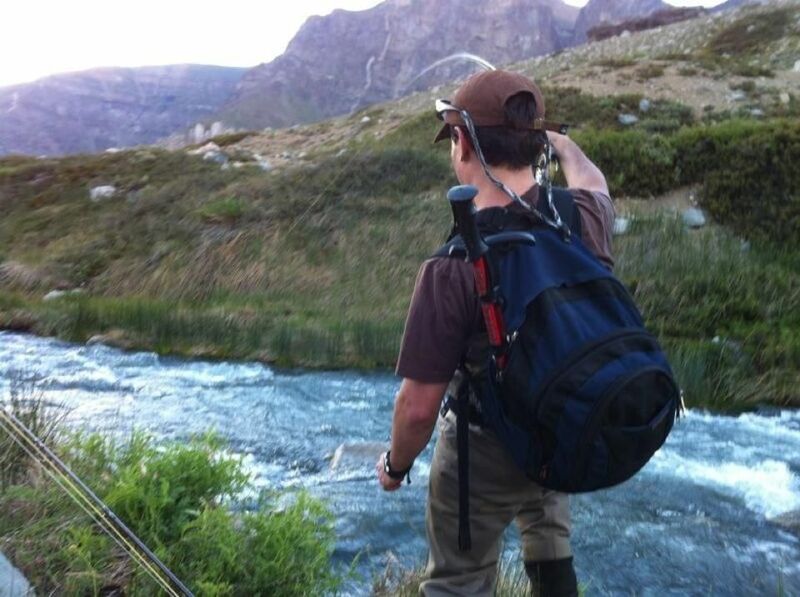 Water temperatures begin to rise, with a strong build-up in insect activity both in water and air. 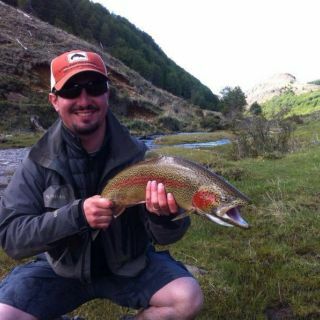 Trout continue to increase their feeding frenzy while still concentrated in the upper sections of the View more...rivers. 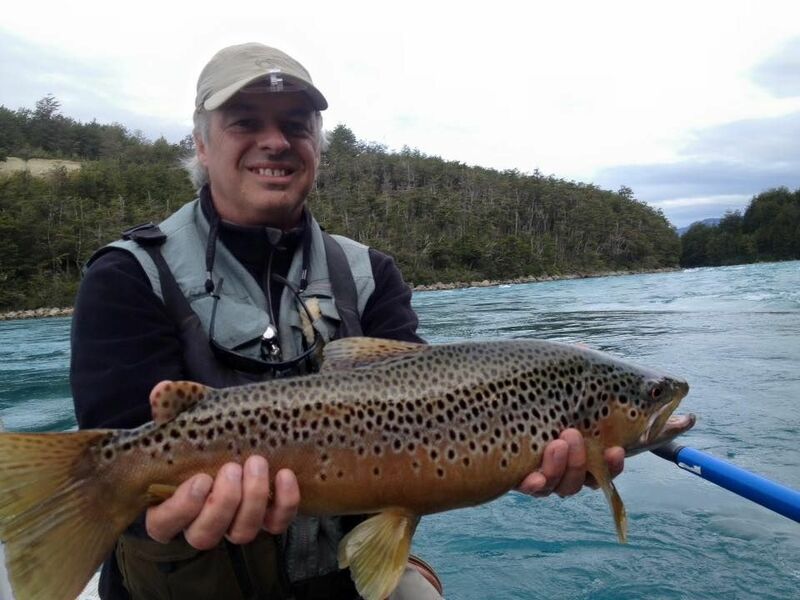 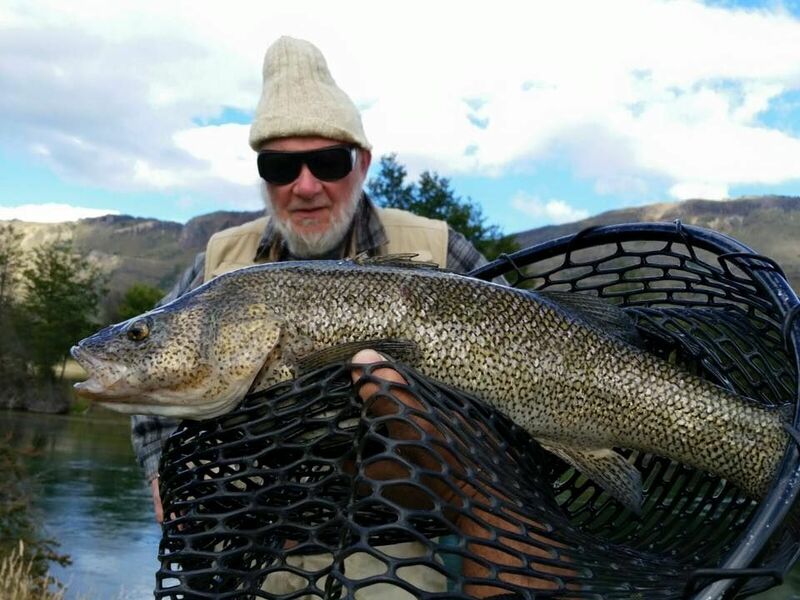 These two months are the most demanded fishing period of the season by our frequent guests. 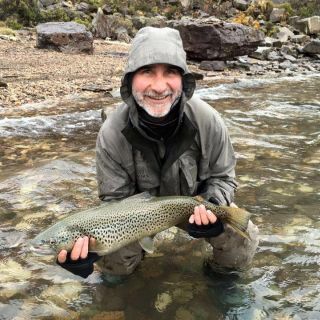 The water levels are still low and caddis hatches are frequent during this longer daylight period, allowing excellent fishing until 9 p.m. and later. 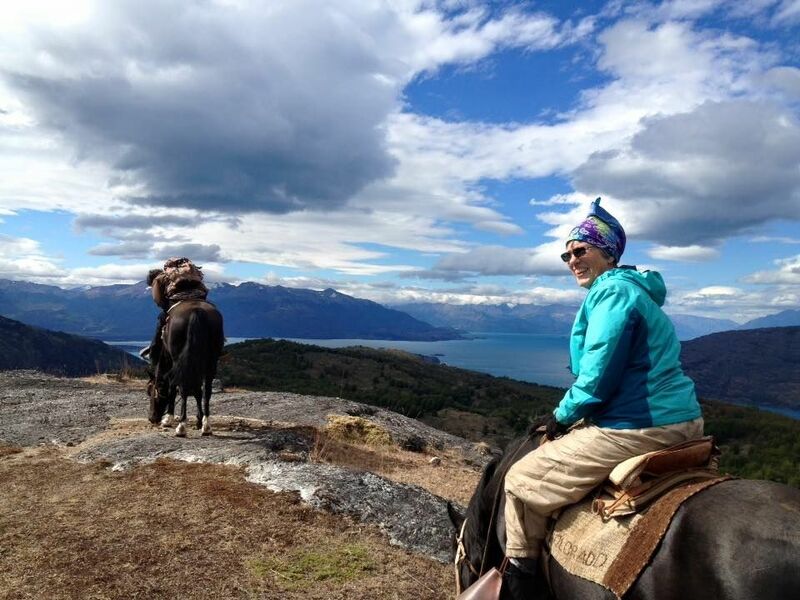 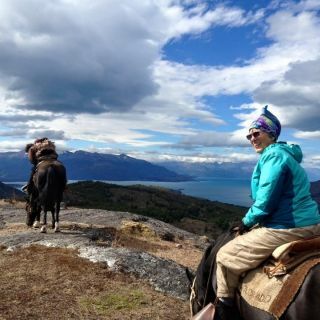 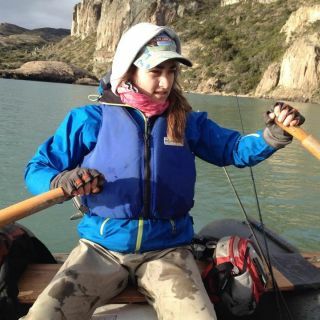 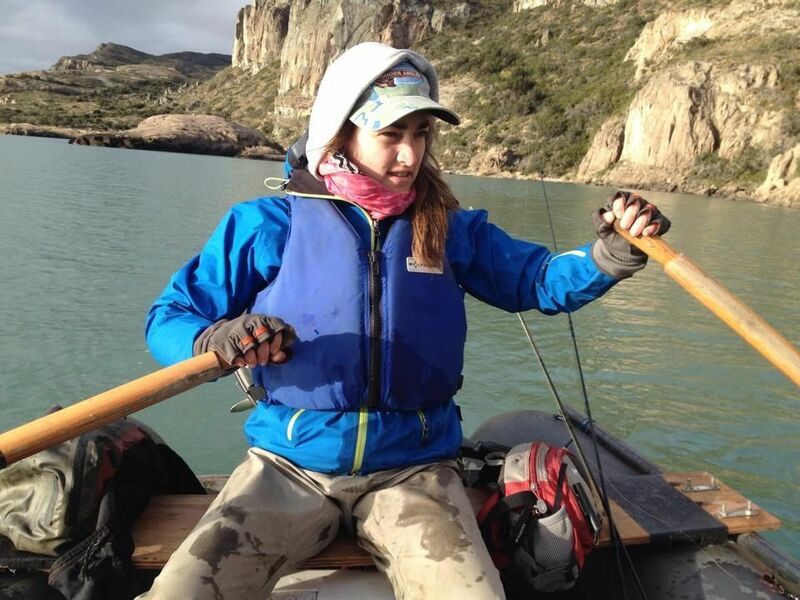 Weather-wise this is the best period to visit southern Patagonia, with sunnier, warmer, and brighter days. 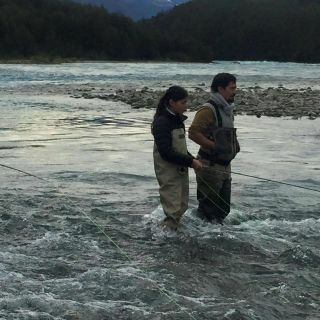 The climate is at its warmest, rivers have raised their water levels, and the water temperature has increased to between 57º and 61º Fahrenheit). 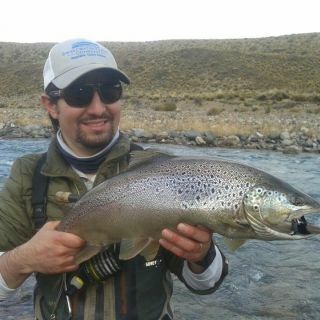 Warmer weather improves the quantity and variety of entomological activity, adding to the traditional caddis and mayflies: ants, grasshoppers and other terrestrial insects. 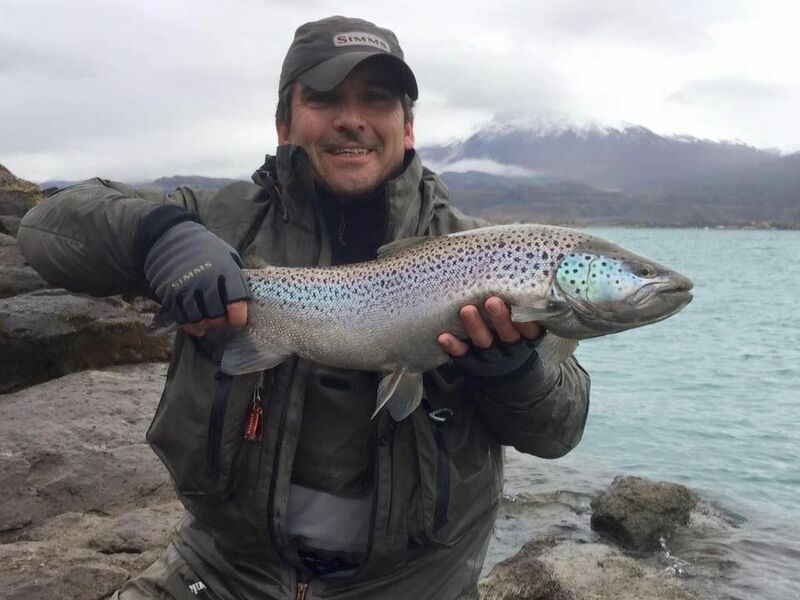 The rich diversity and magnitude in food availability is the key to trout’s strength and fierceness, making captures occasionally challenging in accordance to the anglers’ skills. 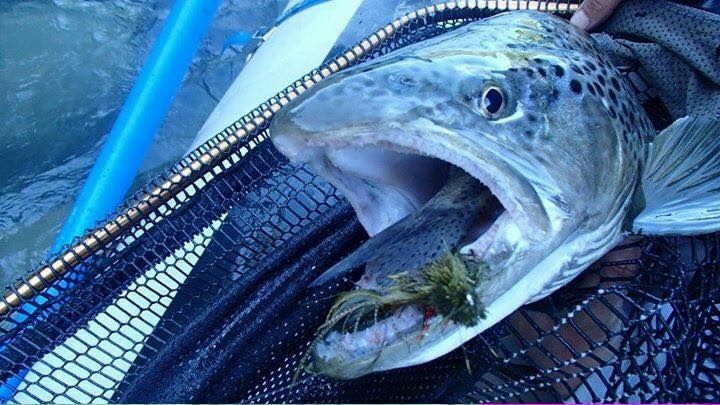 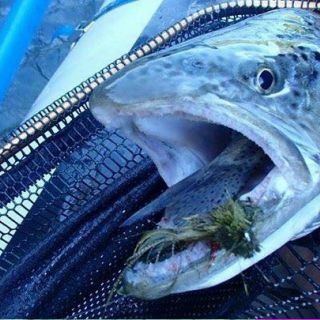 The feel of a rod carrying a 30-plus inch trout while in fact there is a 20-plus at the end of the line is not uncommon under these conditions. 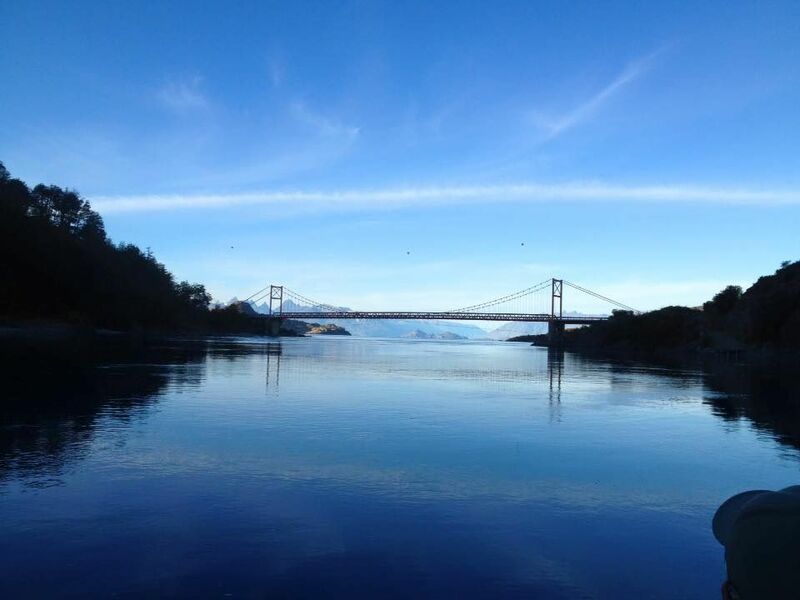 These are colder months, while the water temperature does not change substantially. 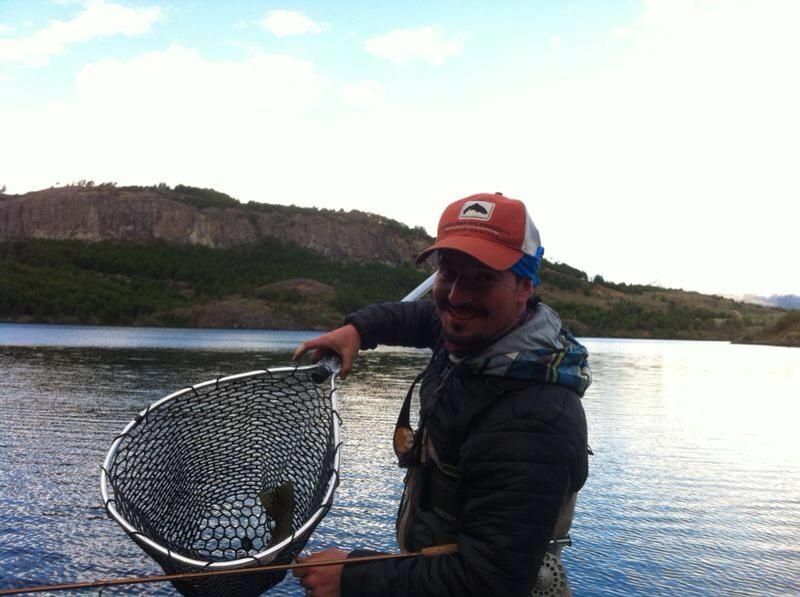 The fish are still very strong and the insect’s activity begins to slow down but still fills the waters and air. 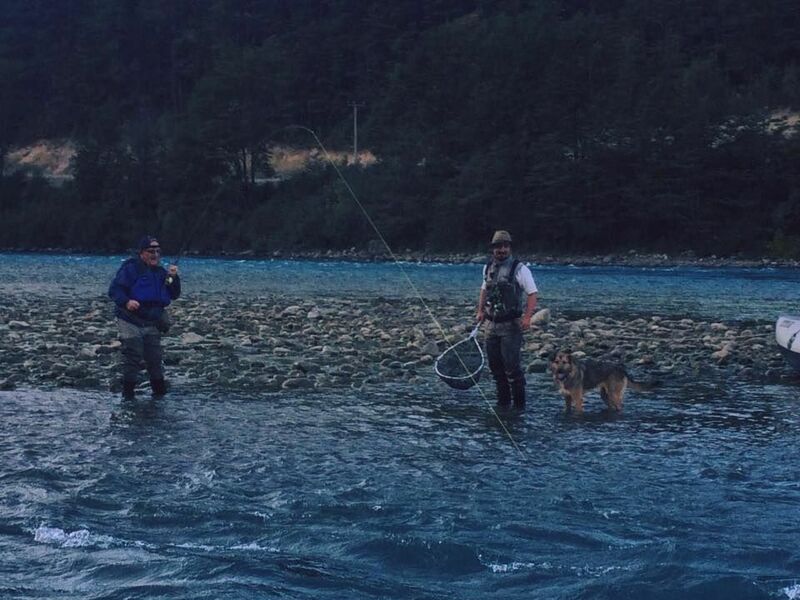 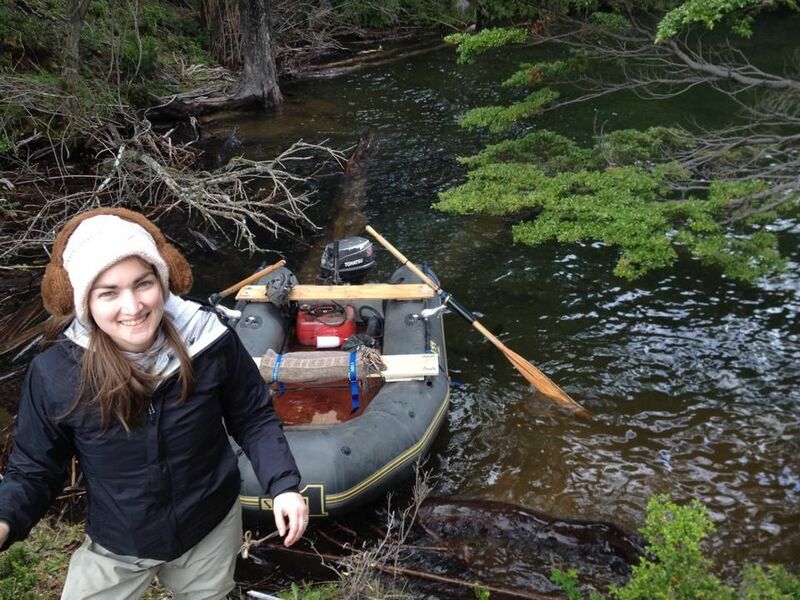 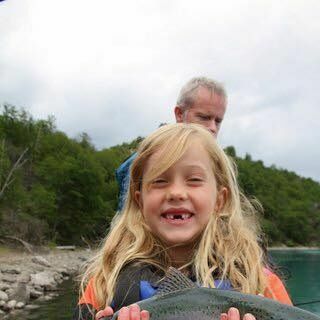 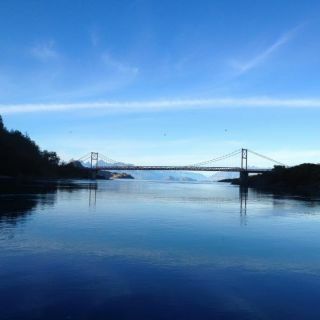 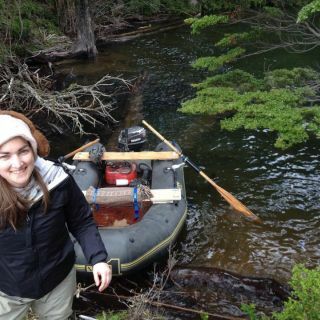 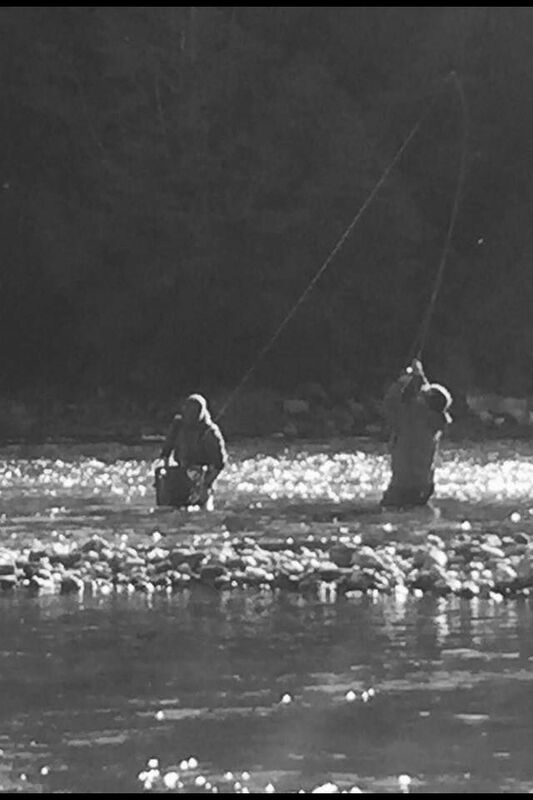 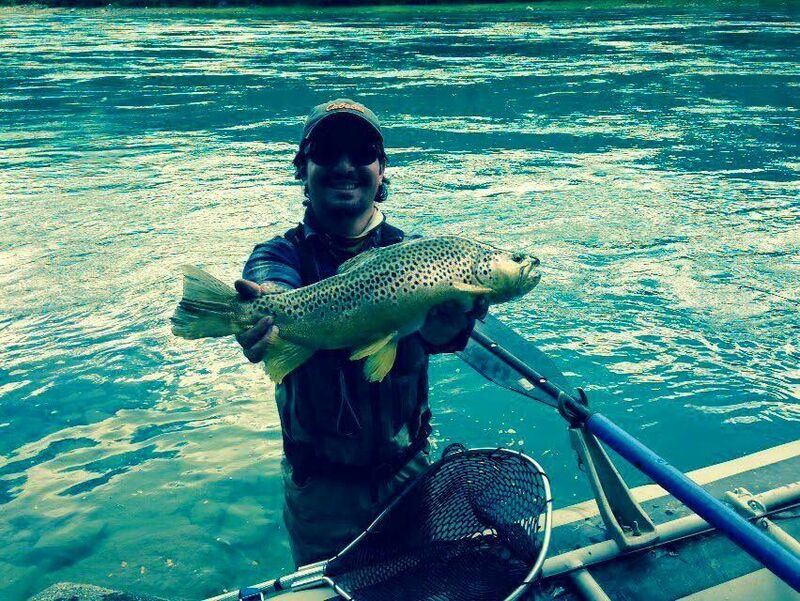 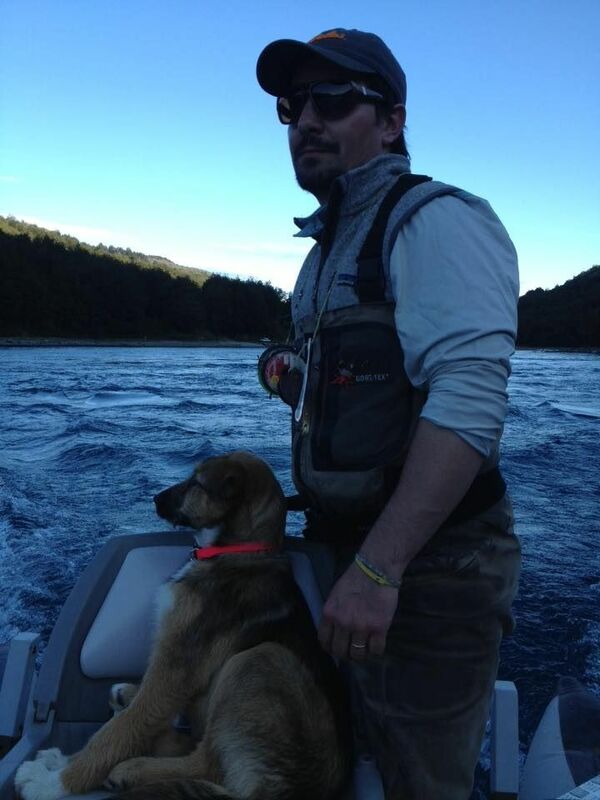 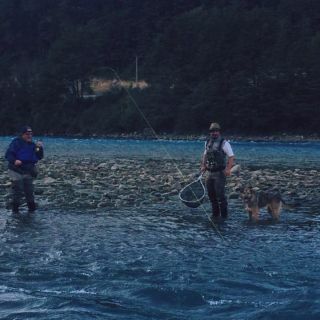 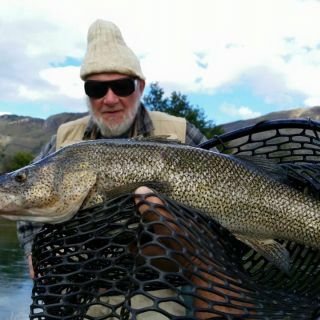 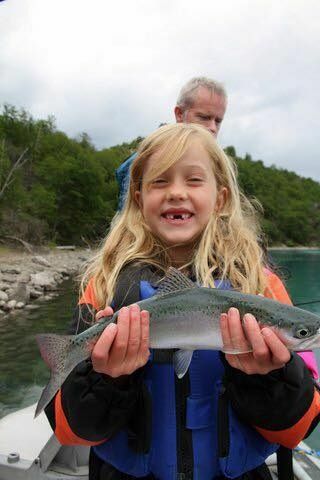 This is one of the best times for trophy fishing in the Baker River. 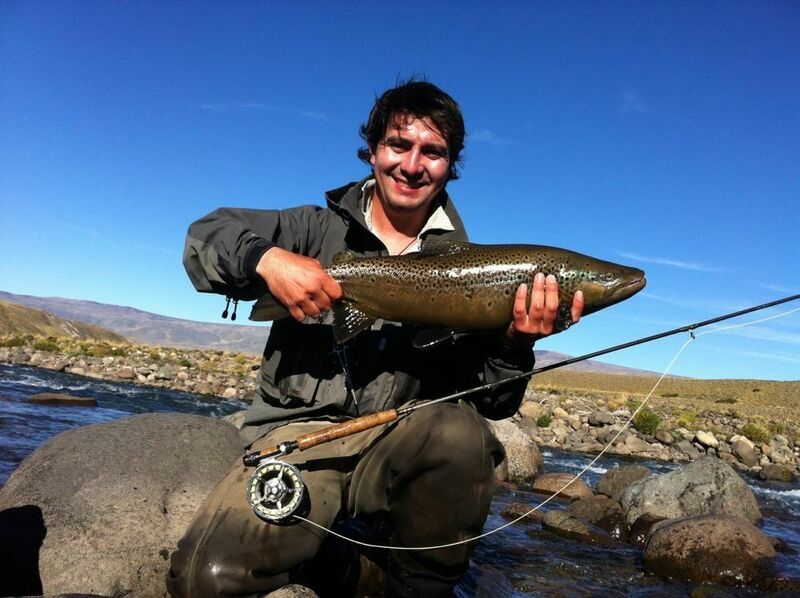 Big trout are found in the prime lies, and hatches are less frequent, usually during the sundown hours. 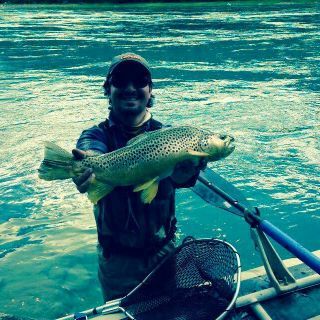 Evening and dusk hatches become very interesting, mainly when casting at big trout rising to the surface for caddies and mayflies. 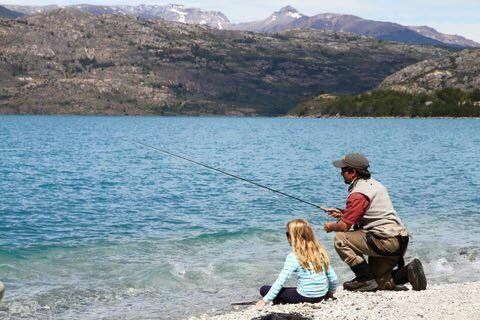 Days get shorter and the best fishing hours are during the early morning hours, noon time, and sunset, around 8 p.m. 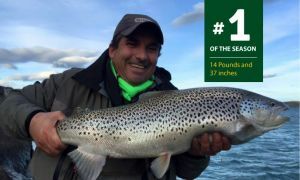 The size and quality of the fishing is superior, allowing for some of the largest captures of the season, in an exiting and challenging environment. 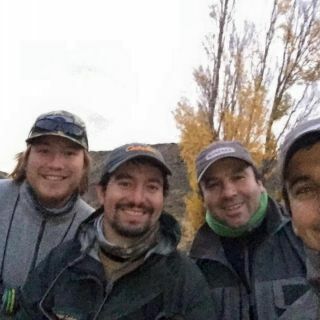 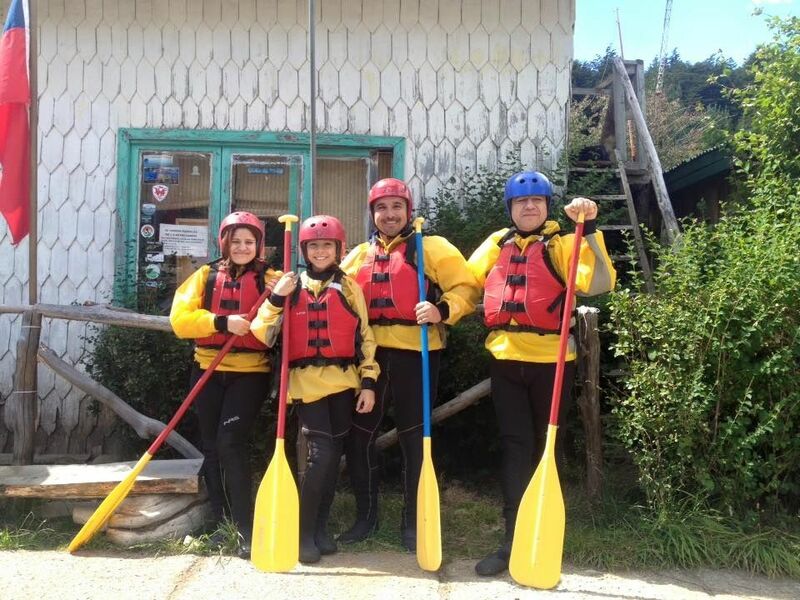 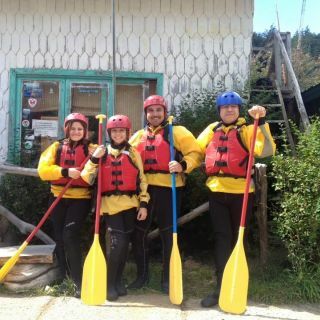 Estuvimos no más de 24 horas en el Lodge pero fue suficiente para hacer una fascinante y placentera experiencia junto a Rafael y René, quienes nos atendieron a "cuerpo de rey"! 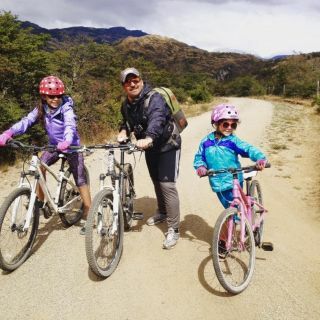 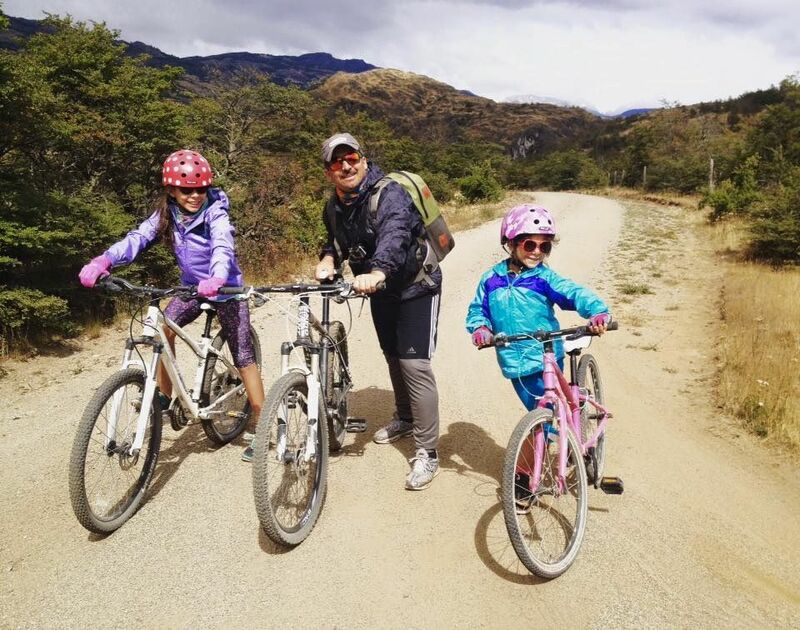 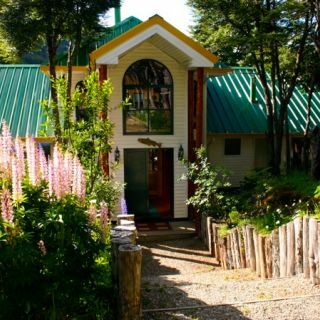 Viajamos junto con mi señora, mi hija y mi madre, recorriendo el sur de Argentina y Chile (la increíble carretera austral). 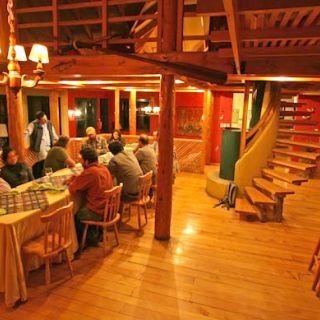 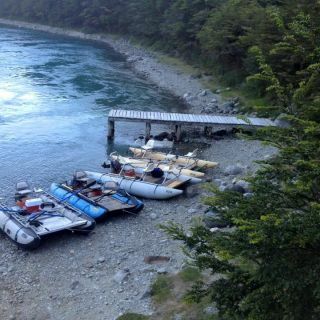 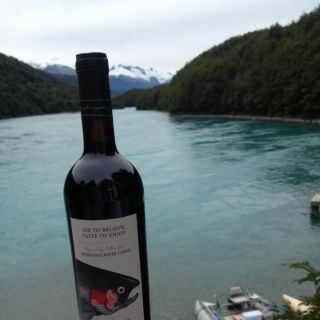 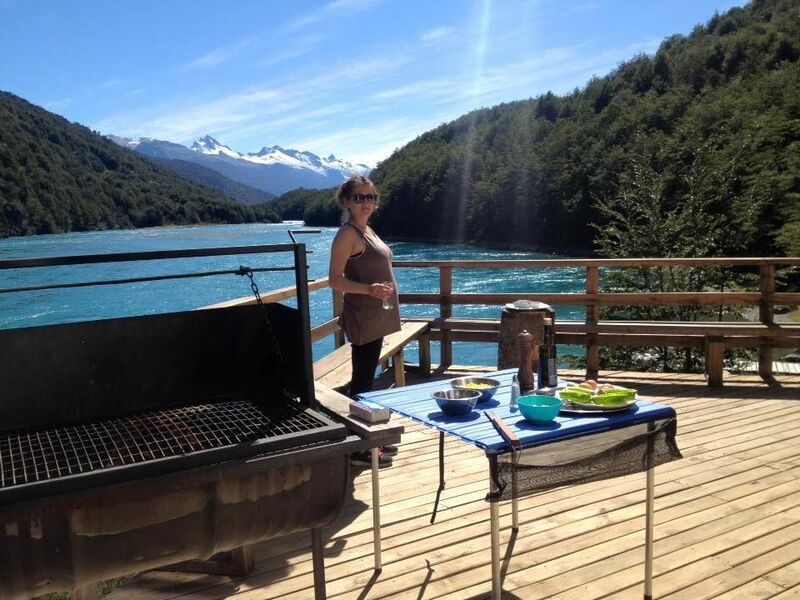 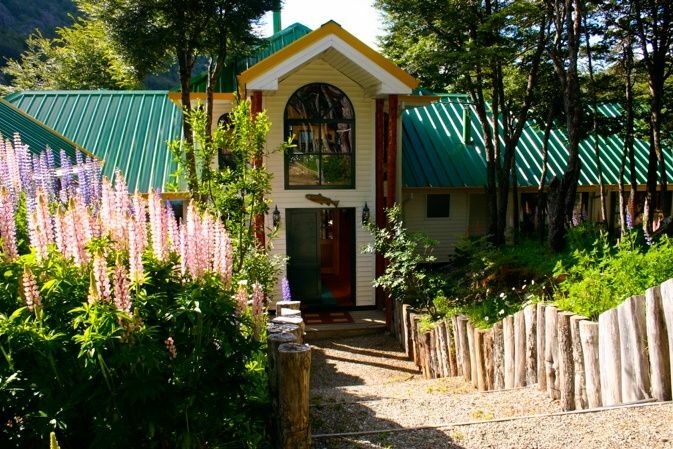 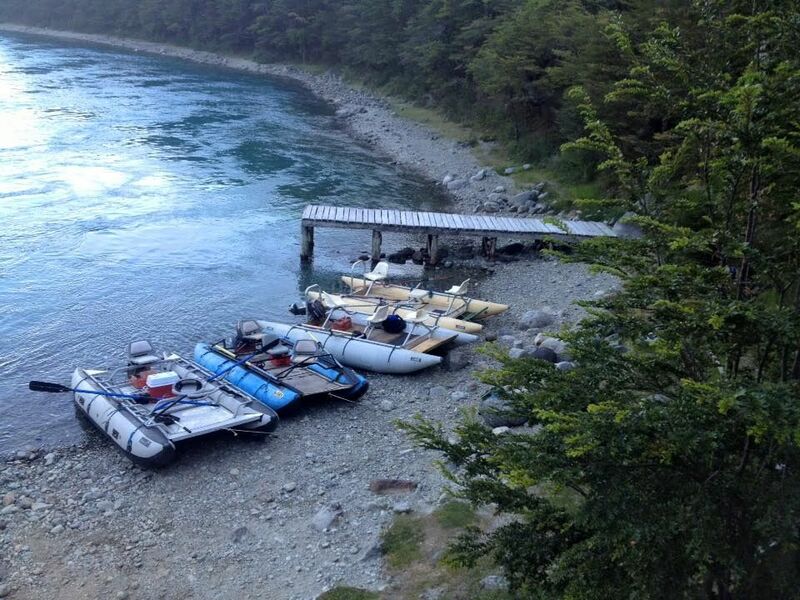 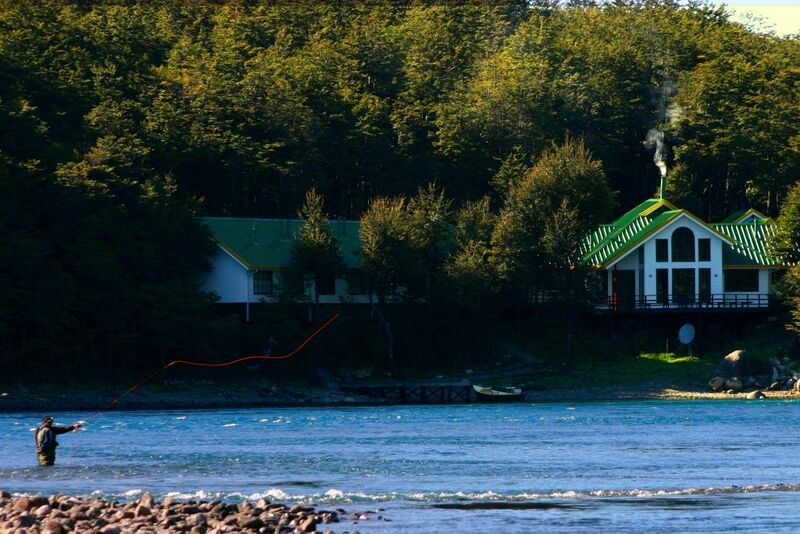 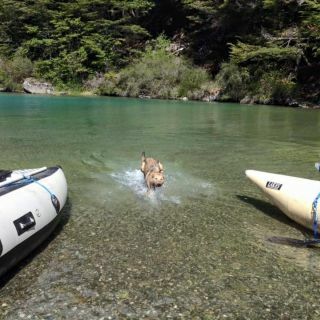 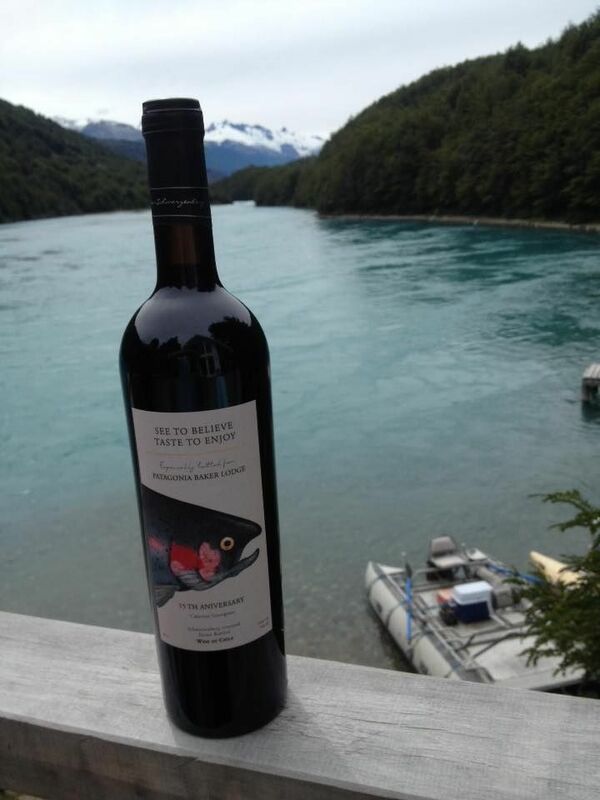 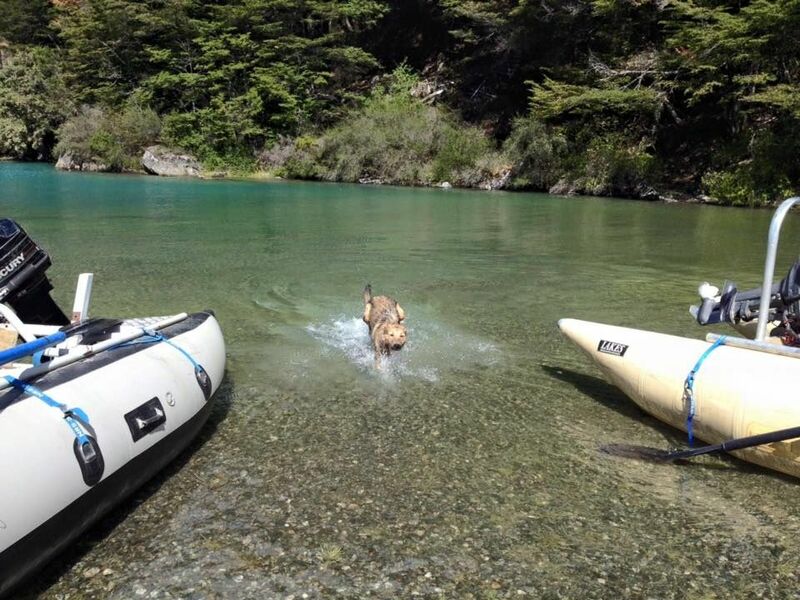 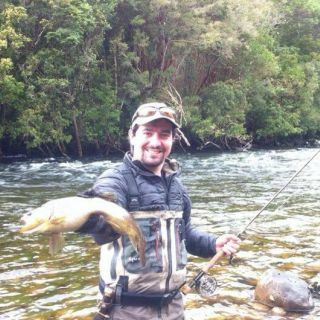 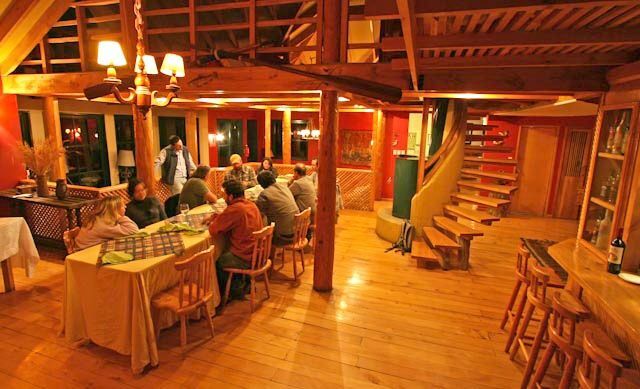 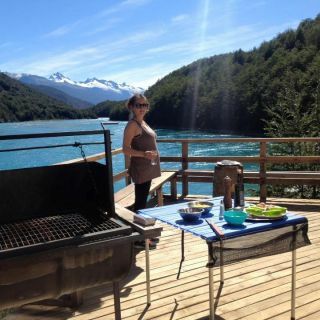 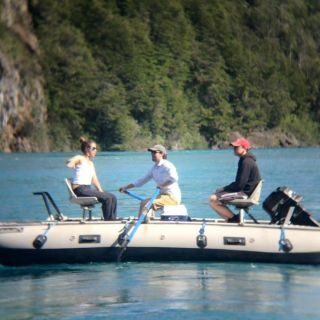 Parar y descansar una noche en Patagonia Baker Lodge fue algo inolvidable. 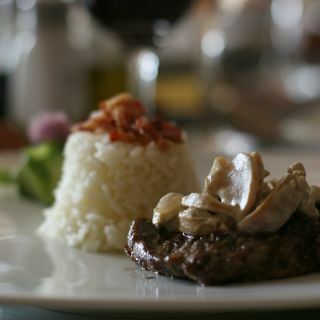 Comenzando por la comida muy bien servida y mejor hecha. 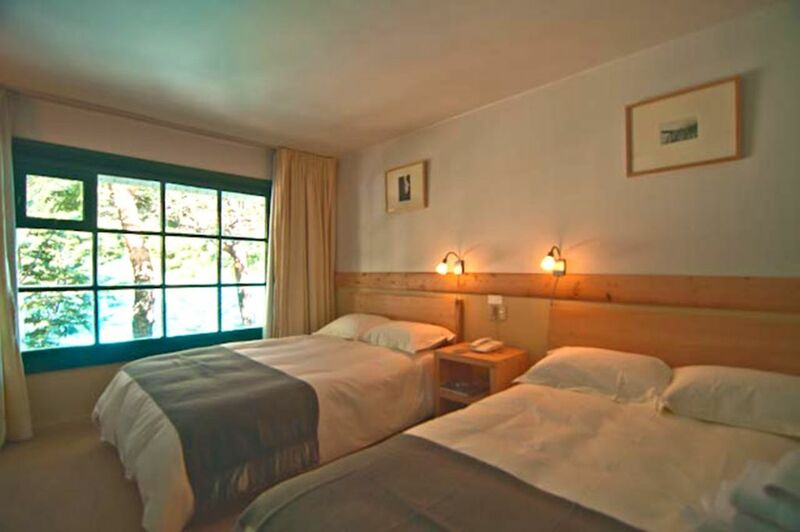 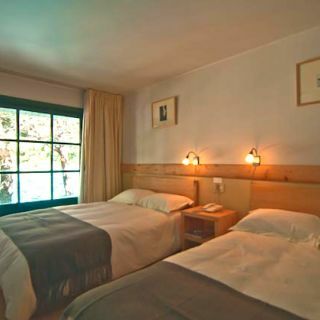 Con habitaciones confortabilísimas y bien calefaccionadas. 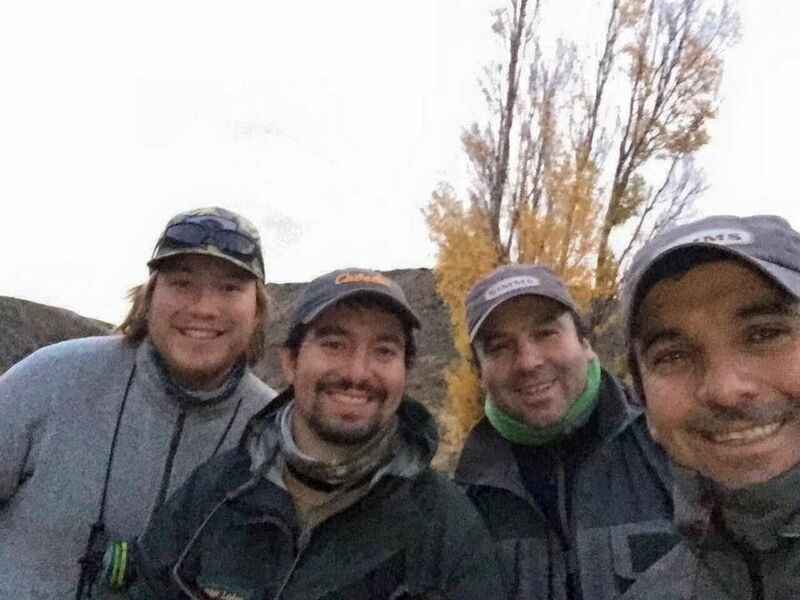 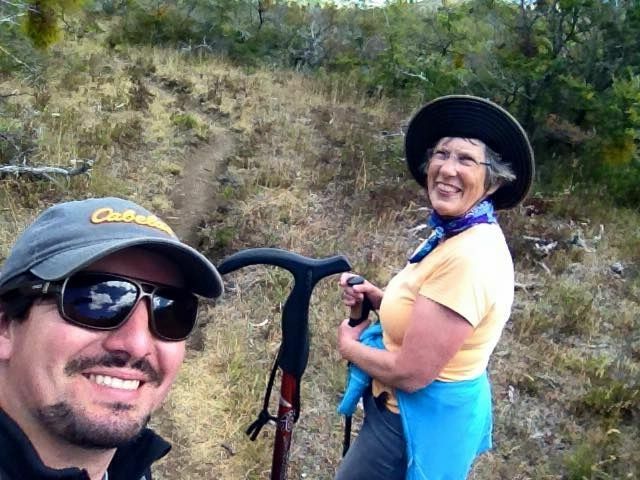 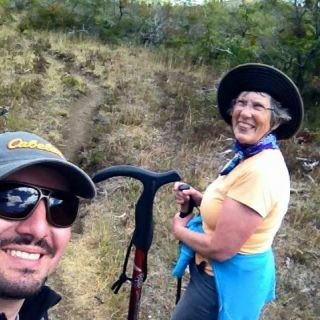 Pasamos una hermosa mañana de campo paseando por el Baker guiados por Rafael y René.